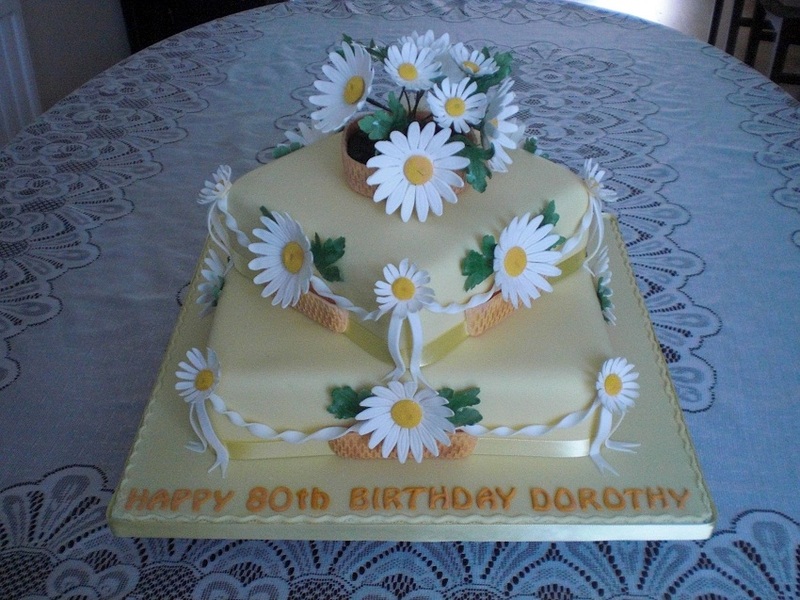 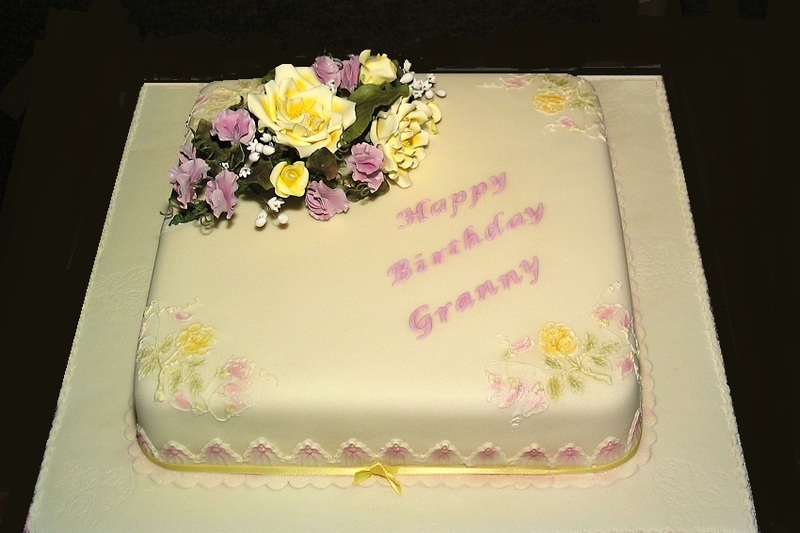 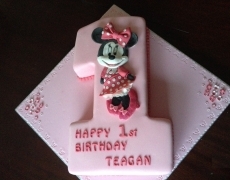 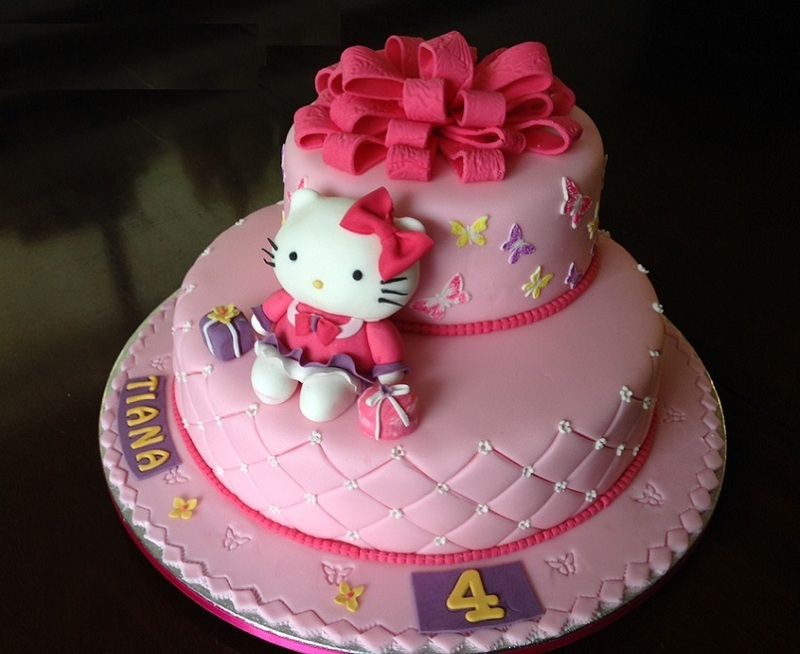 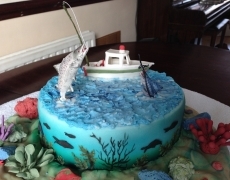 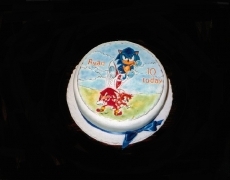 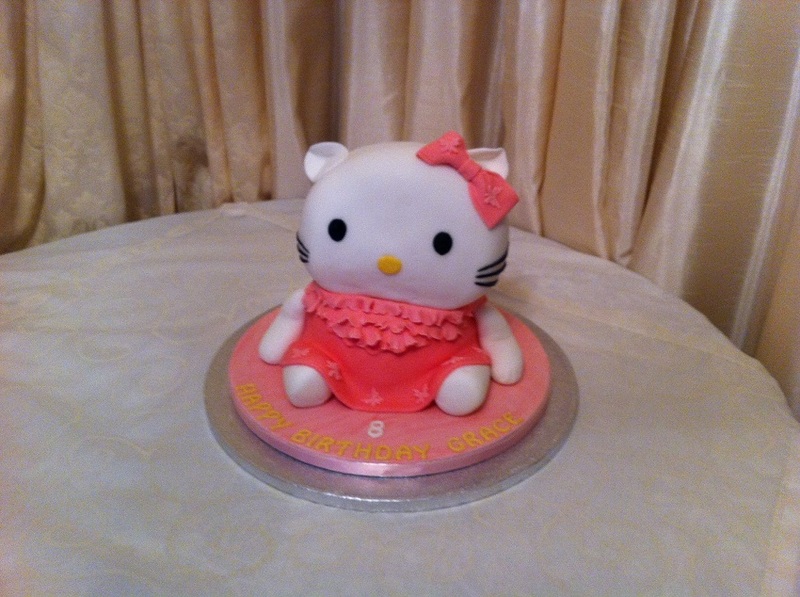 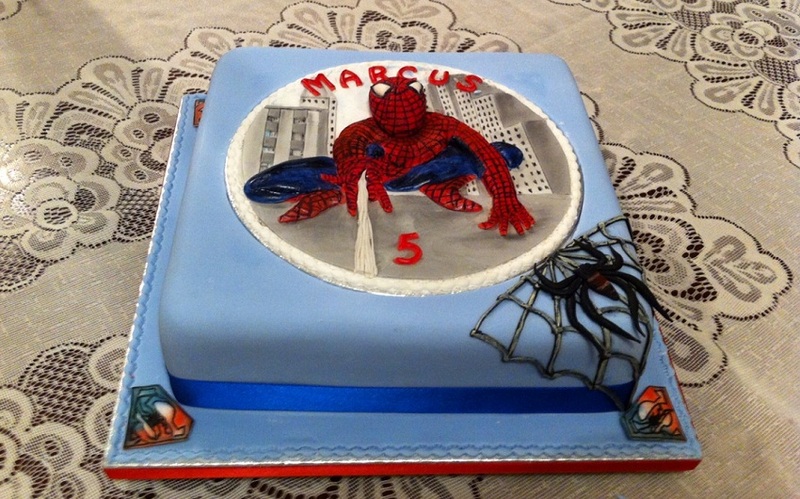 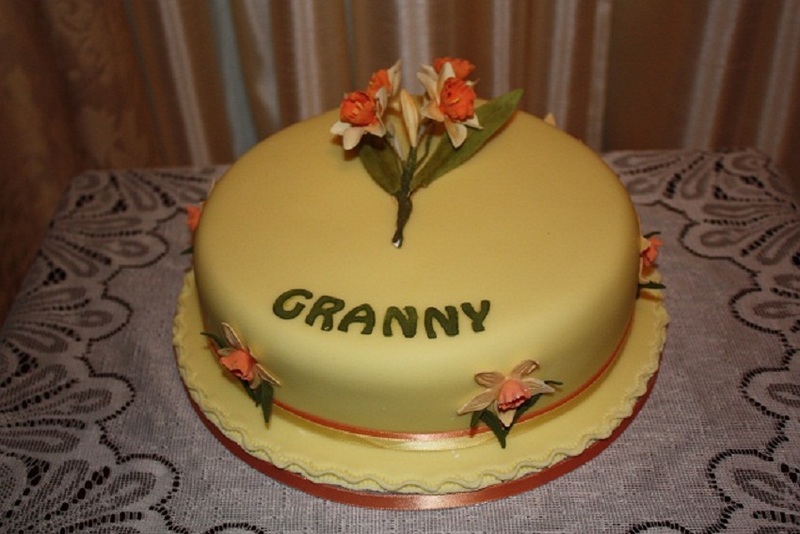 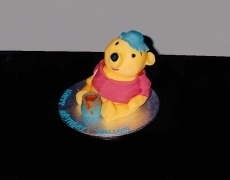 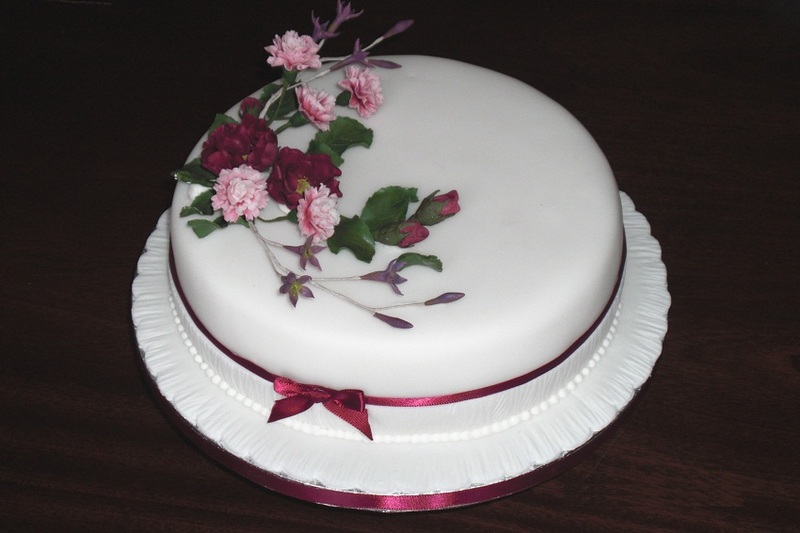 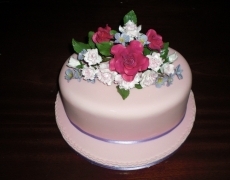 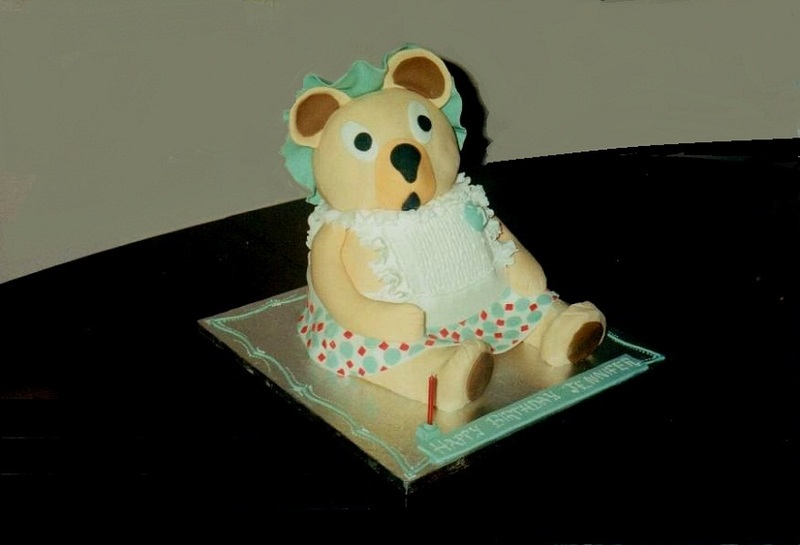 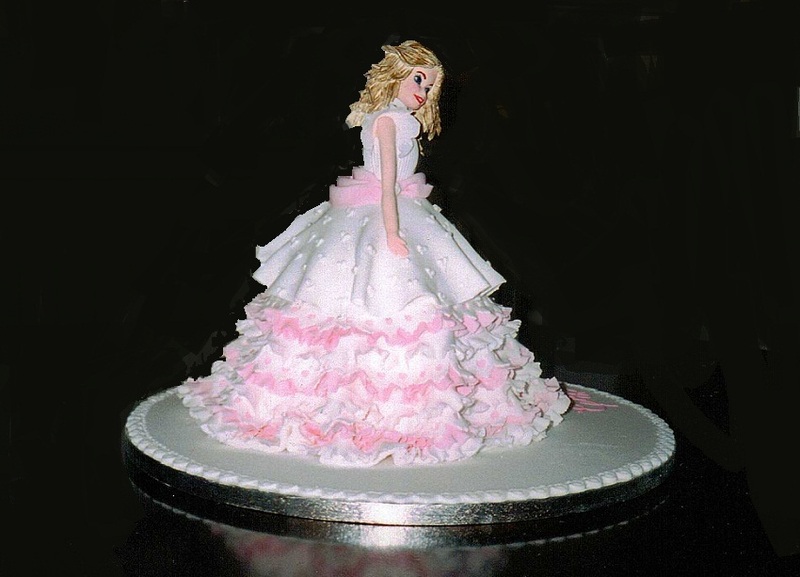 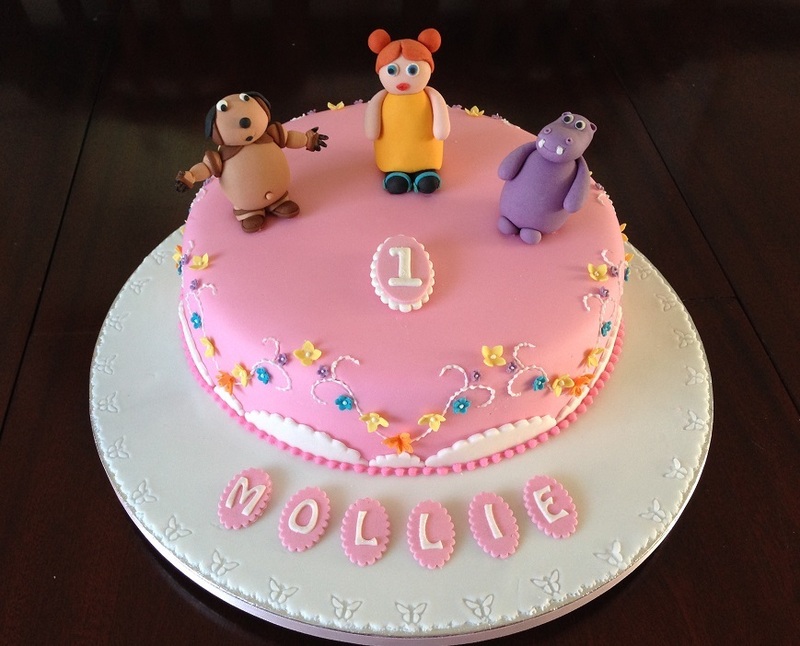 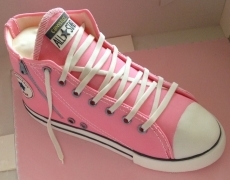 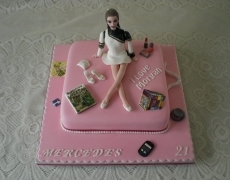 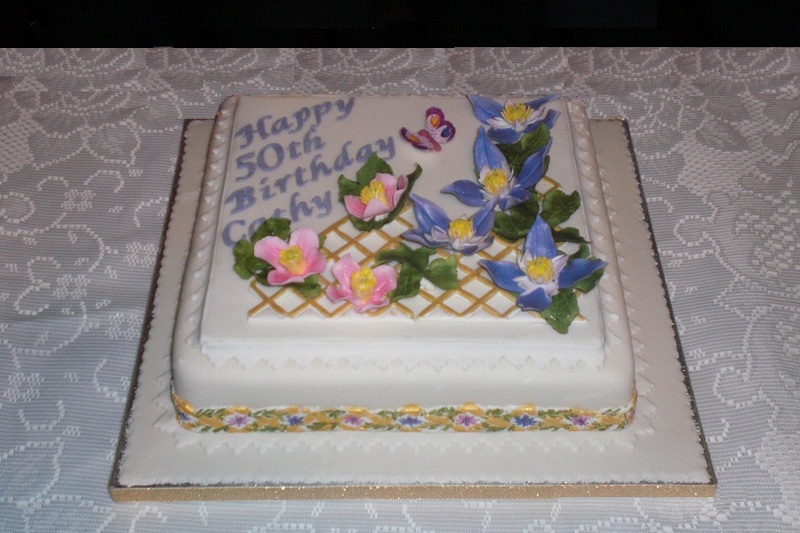 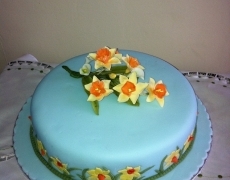 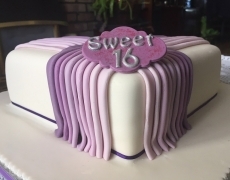 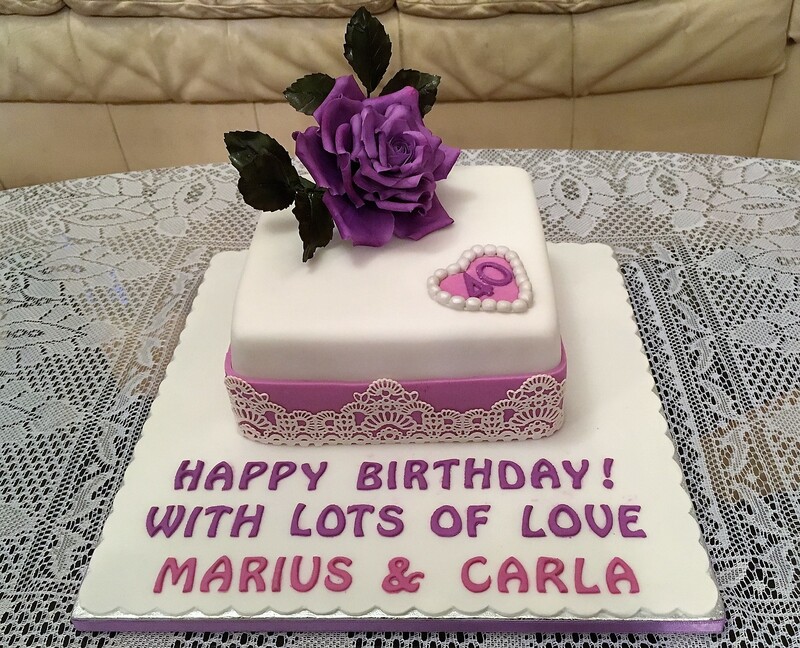 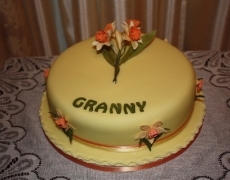 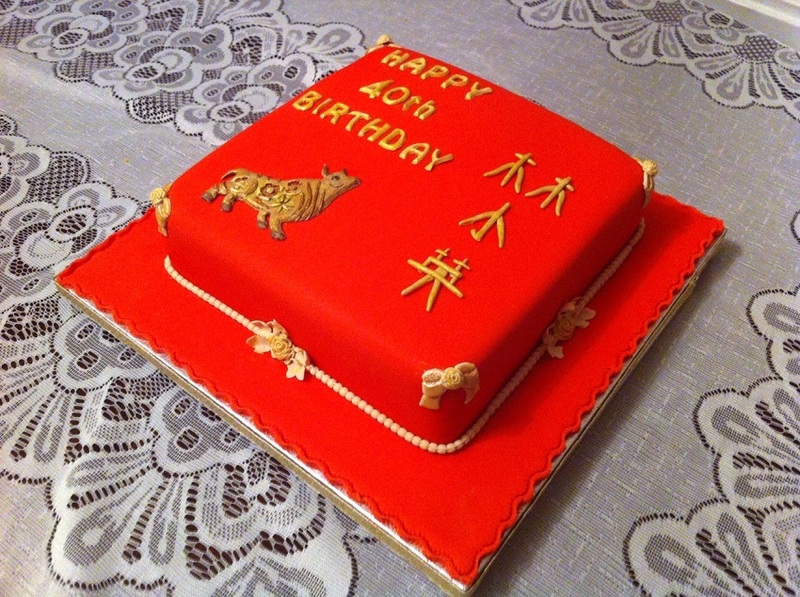 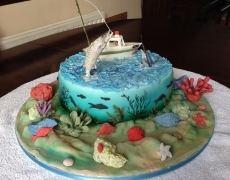 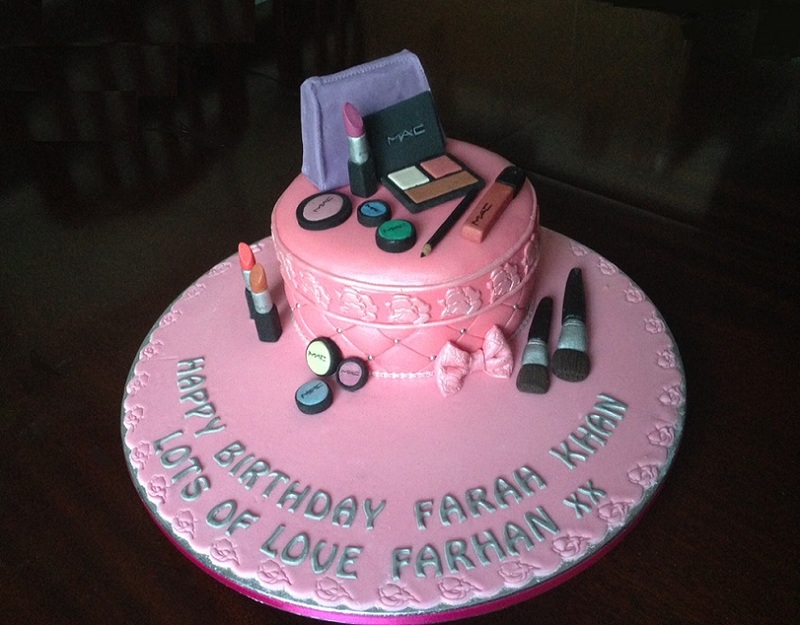 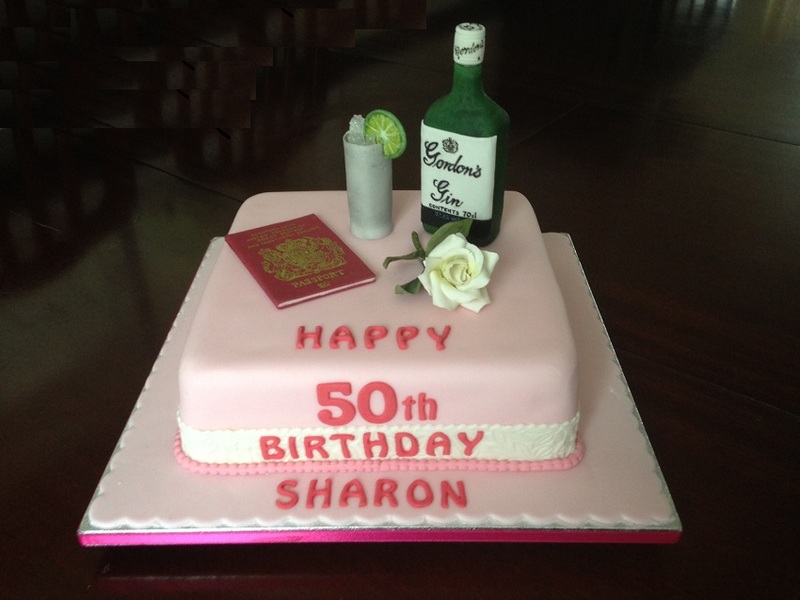 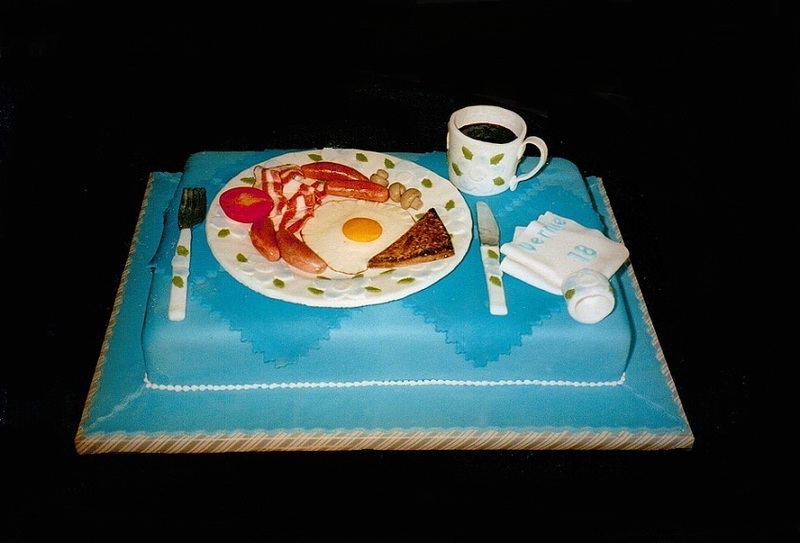 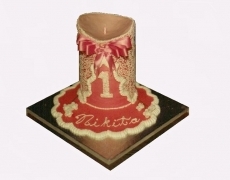 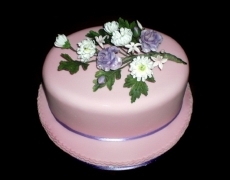 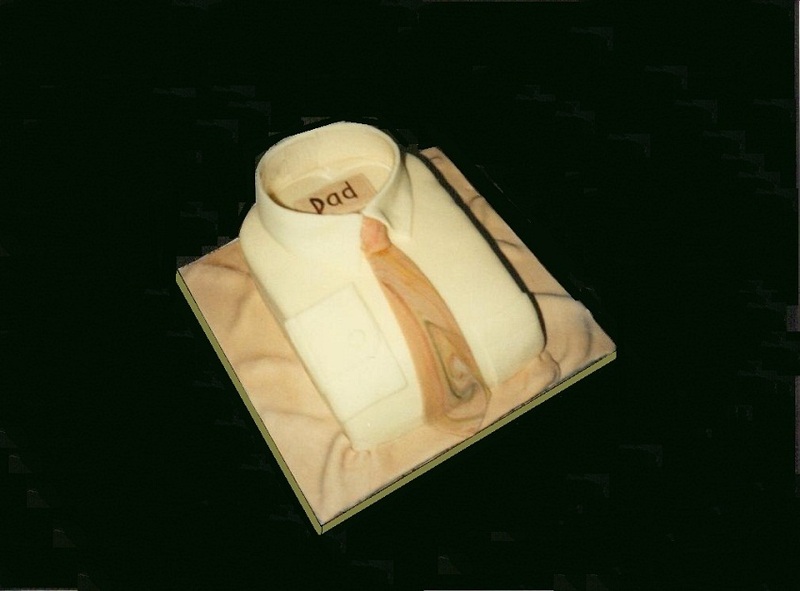 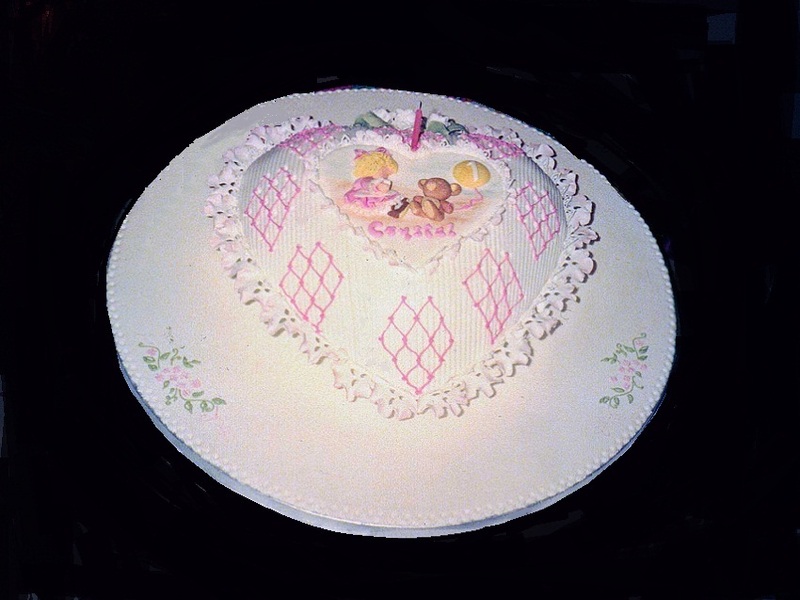 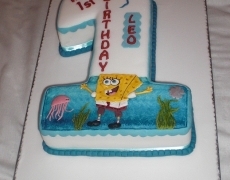 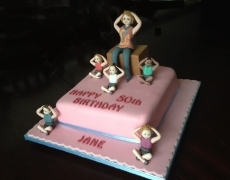 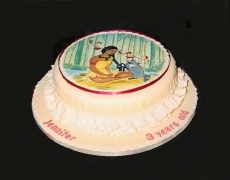 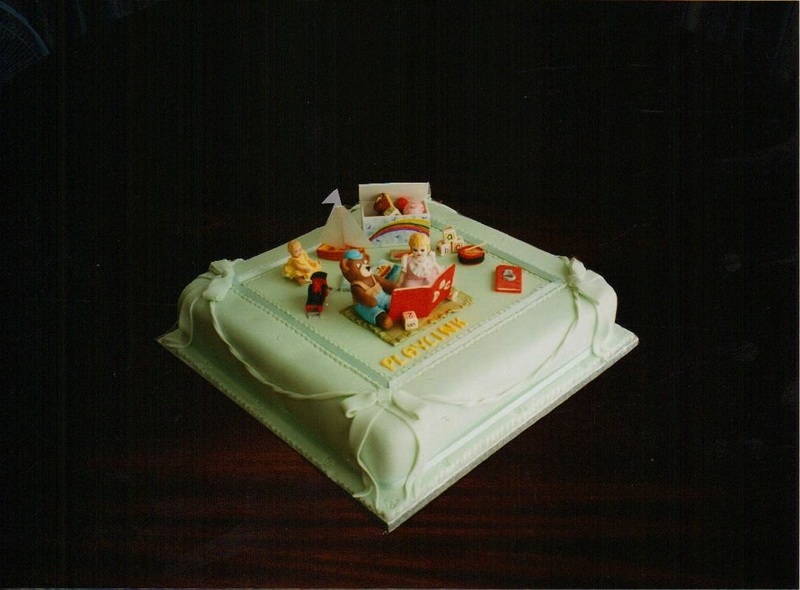 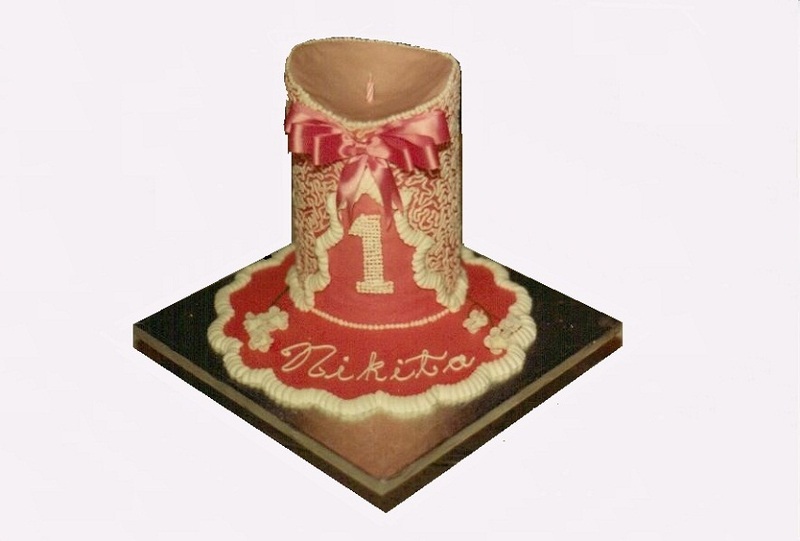 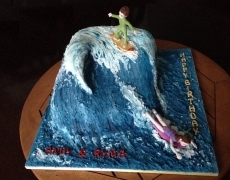 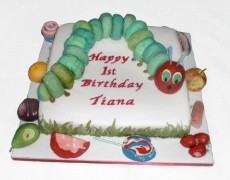 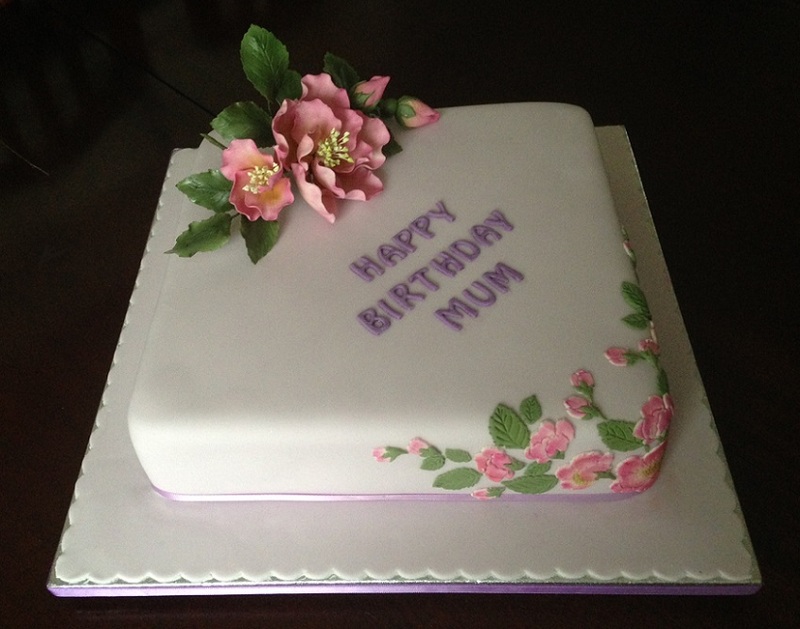 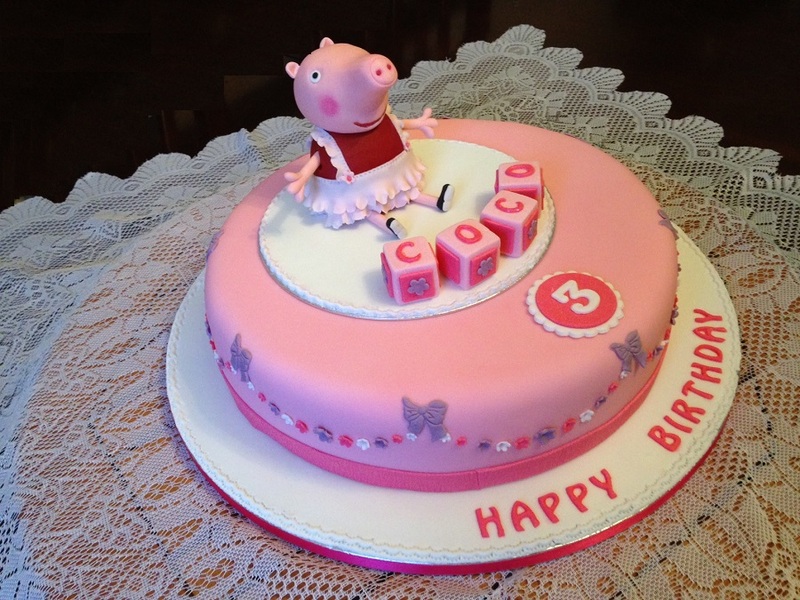 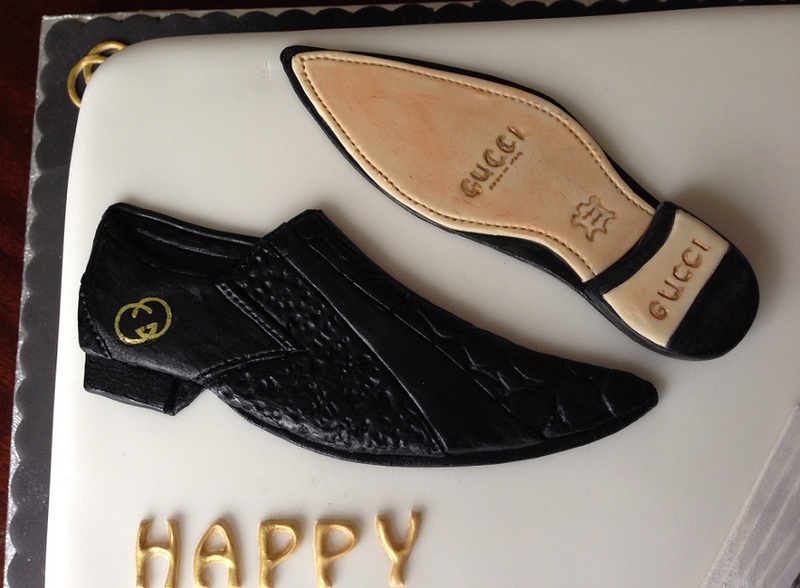 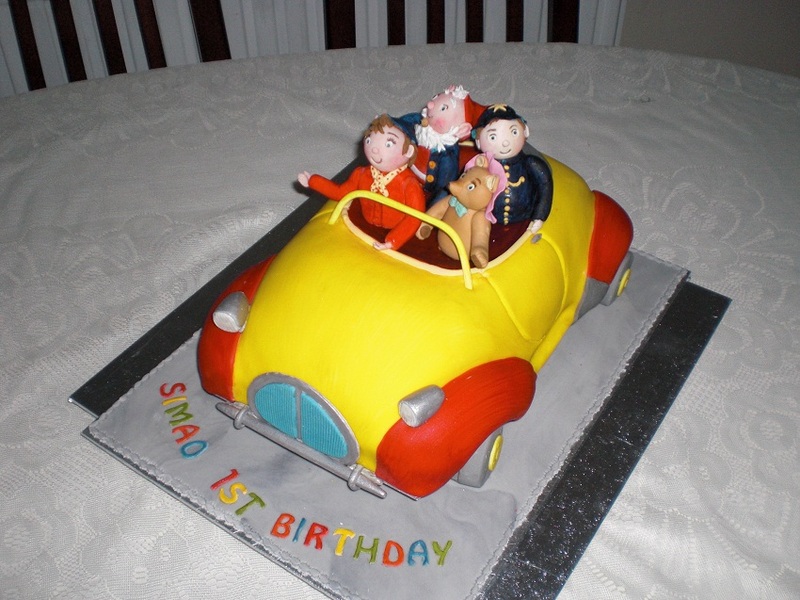 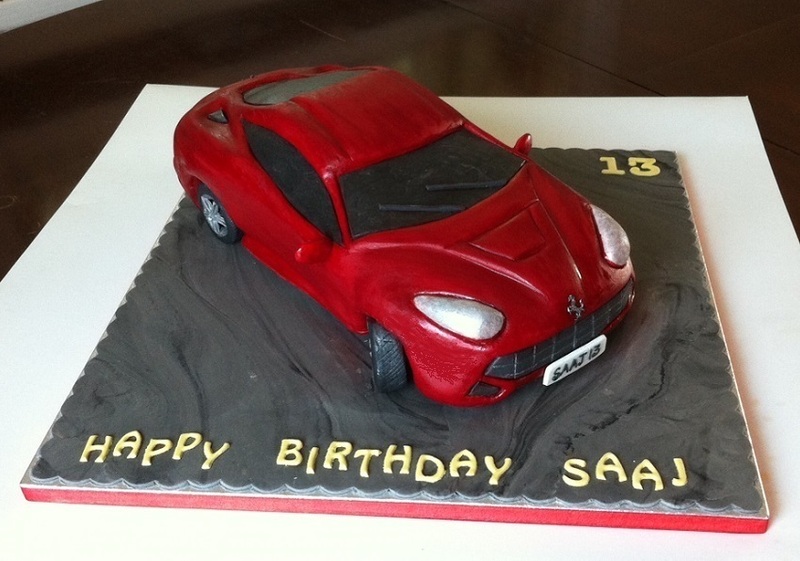 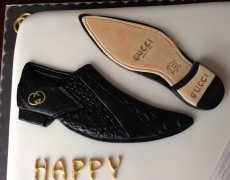 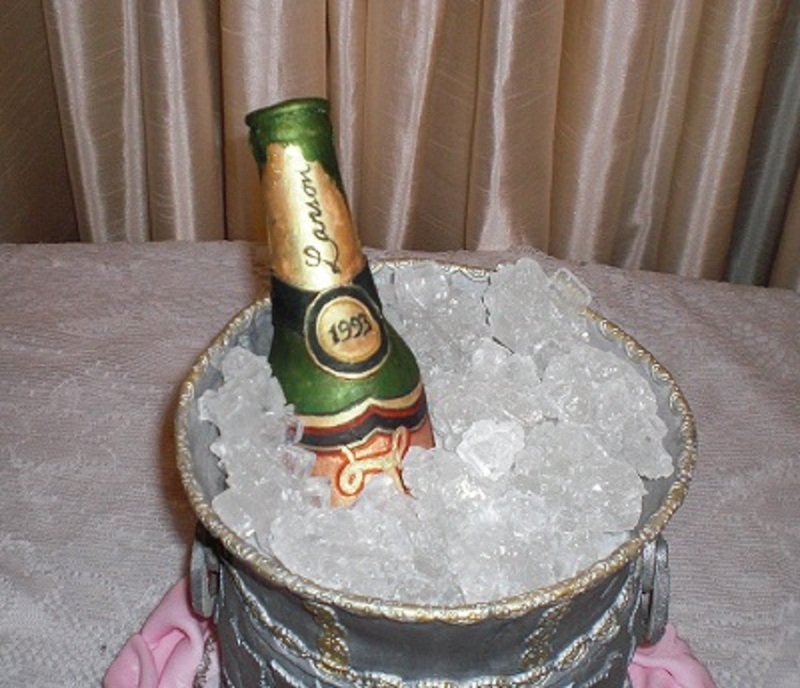 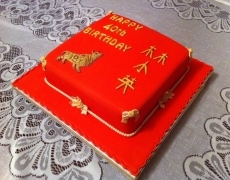 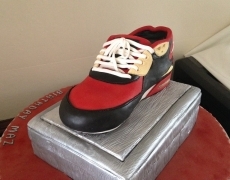 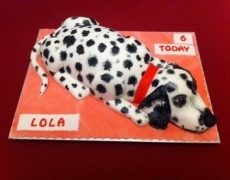 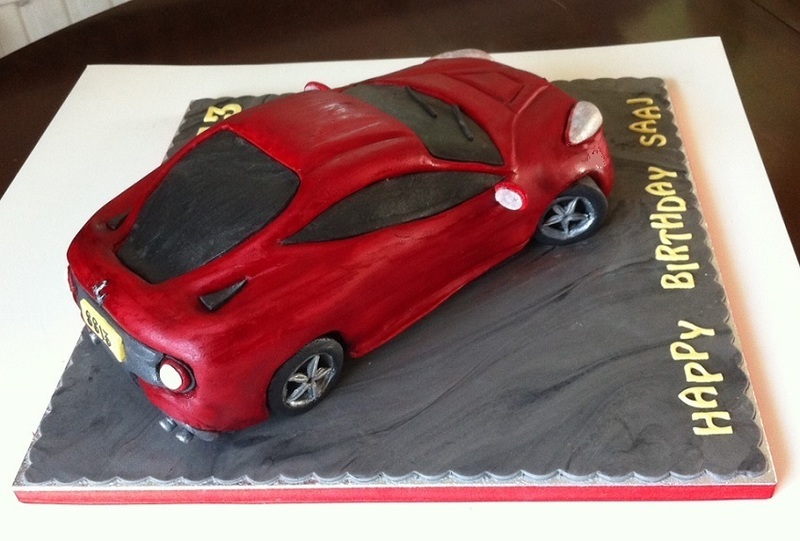 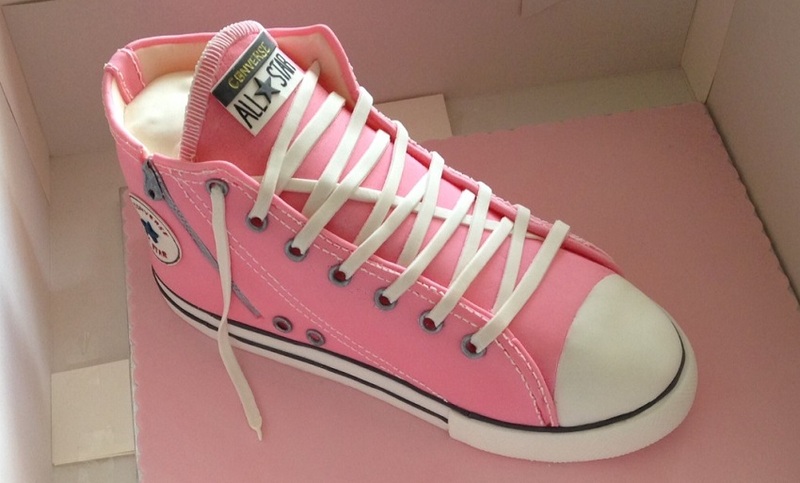 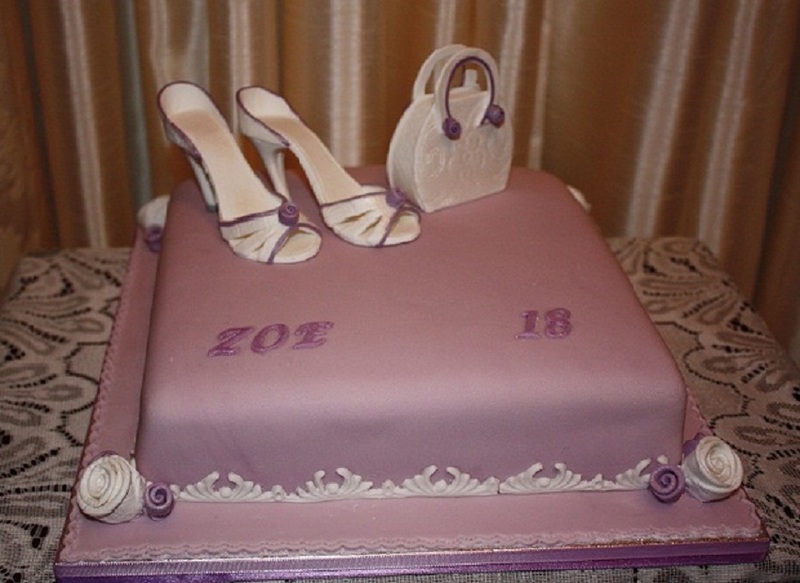 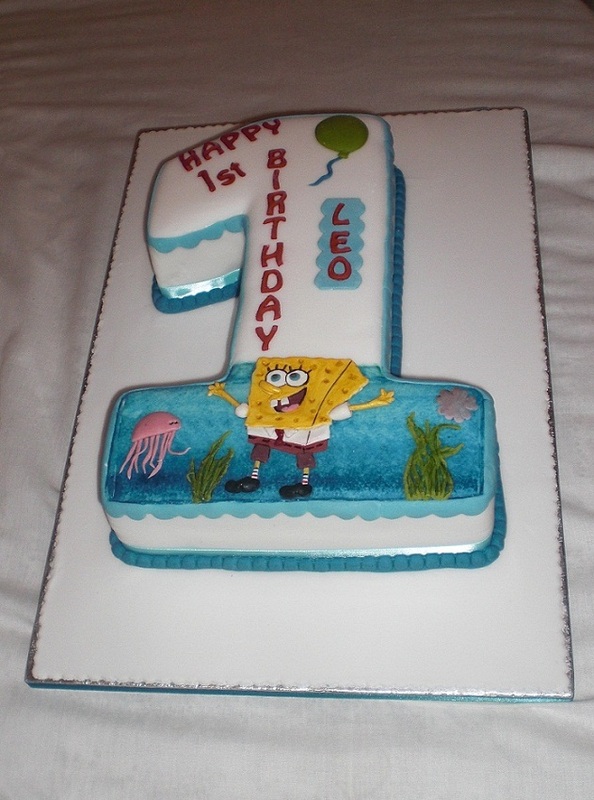 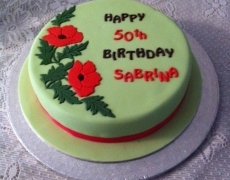 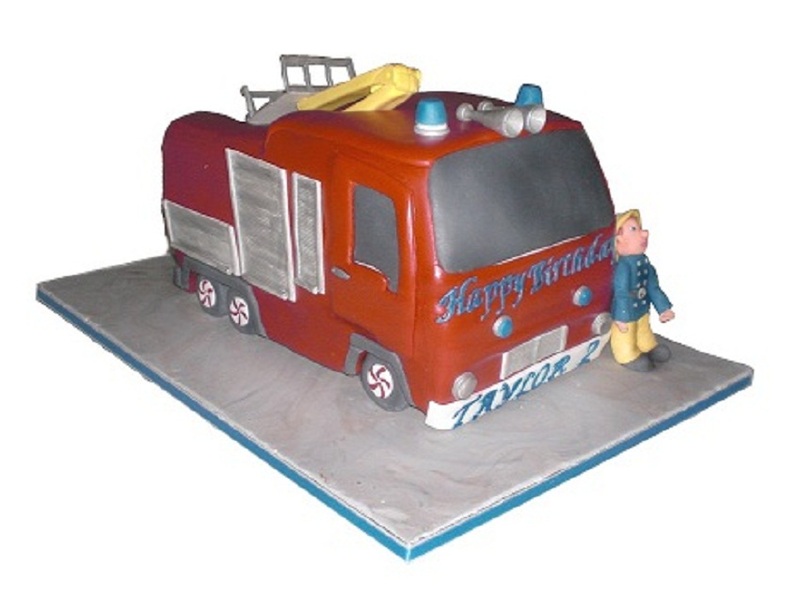 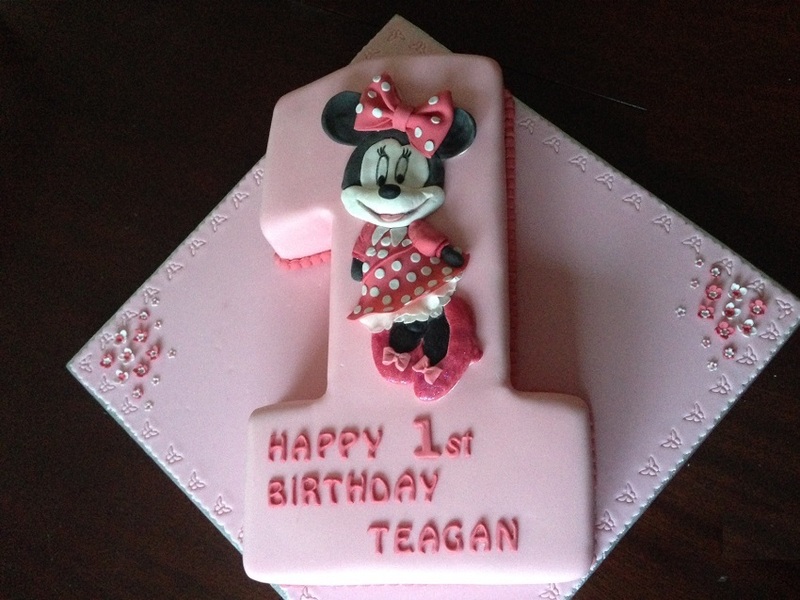 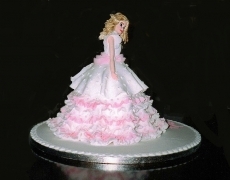 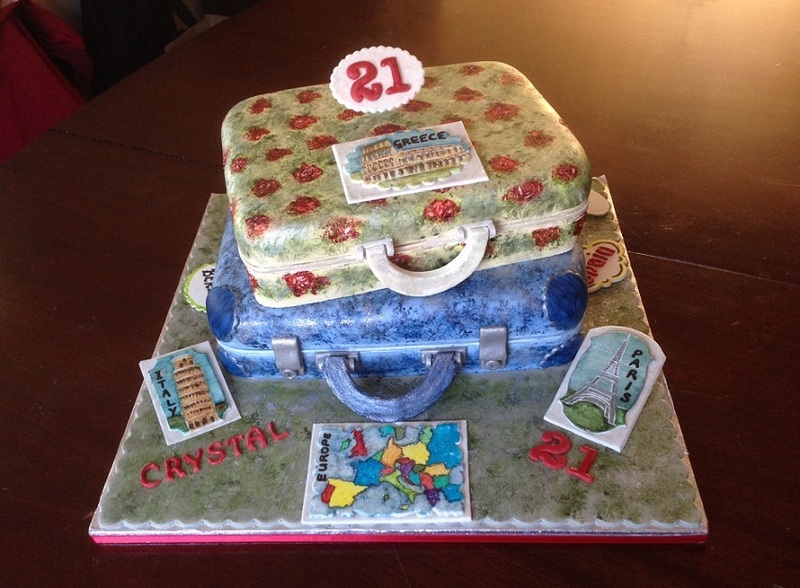 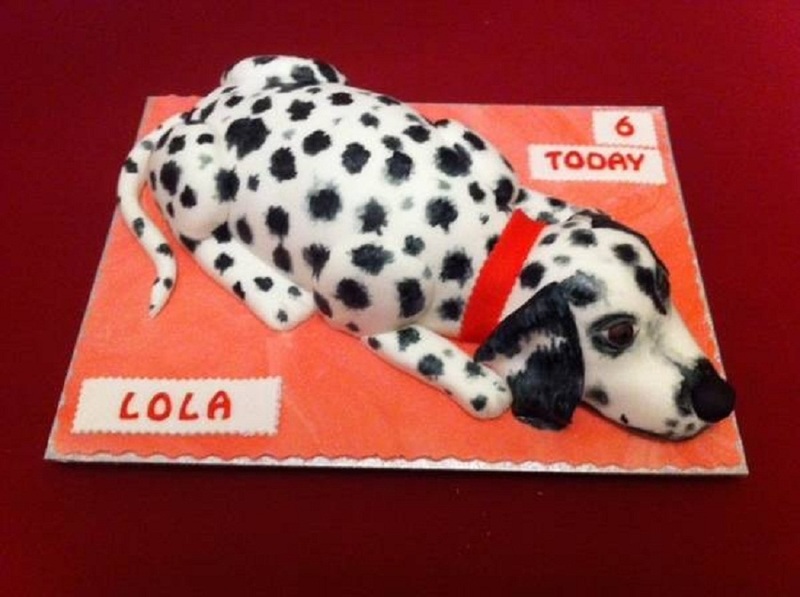 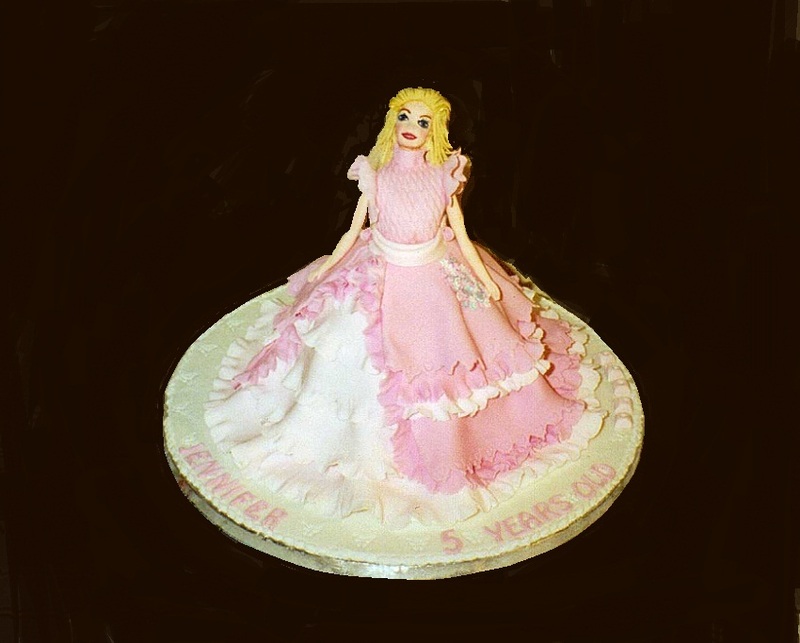 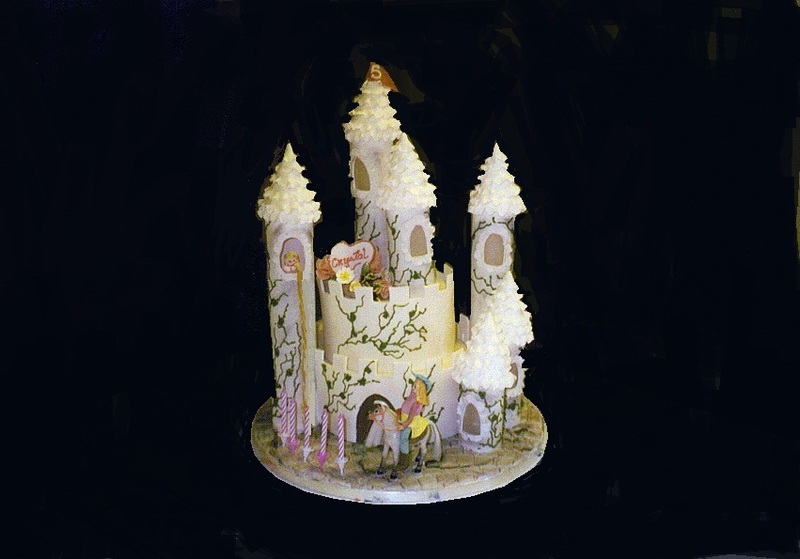 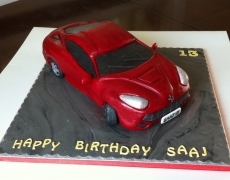 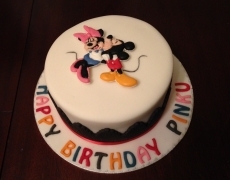 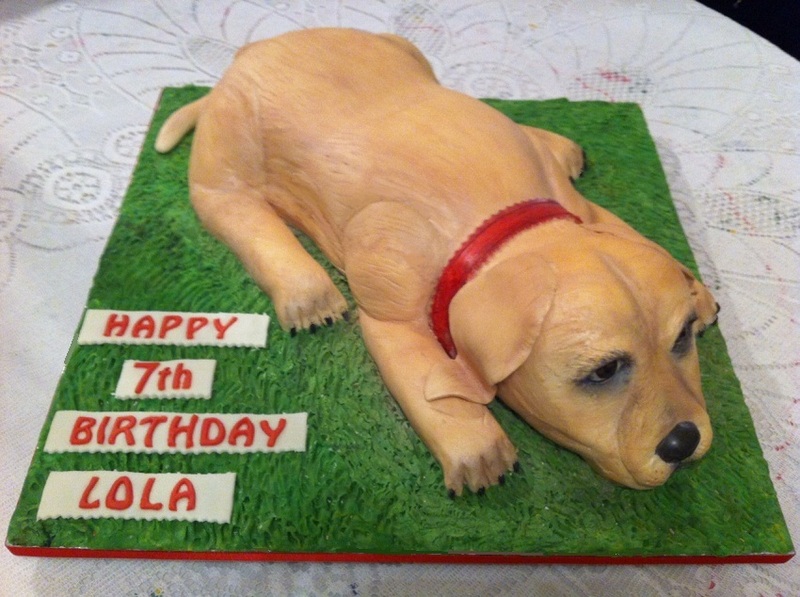 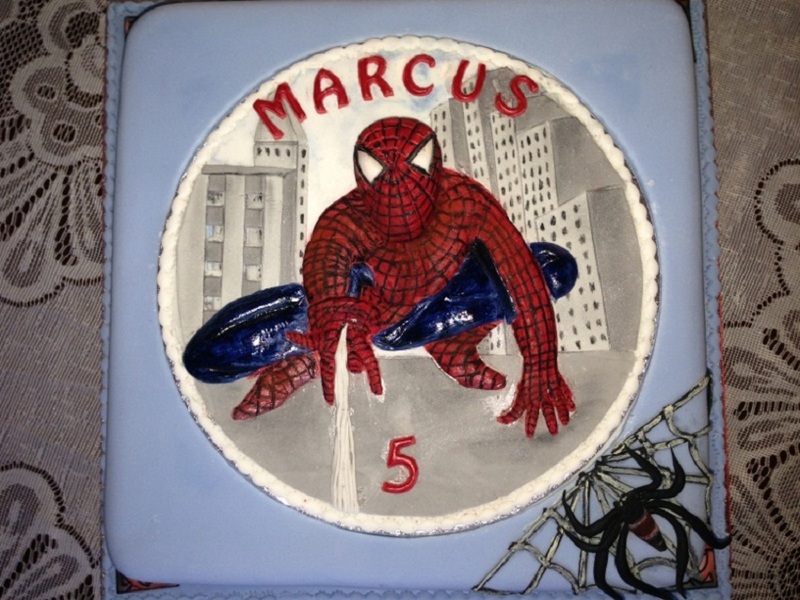 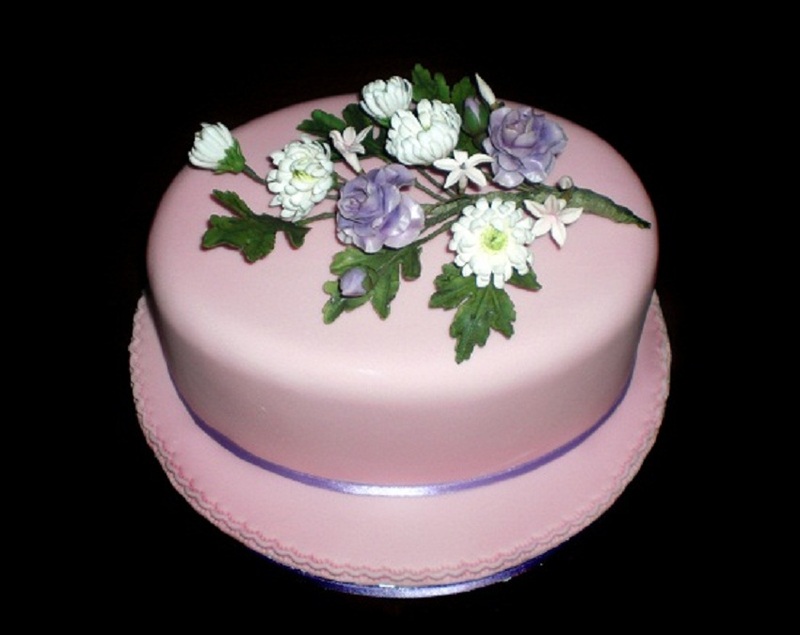 Flair4Cakes have a vast wealth of experience when hand baking Birthday cakes. 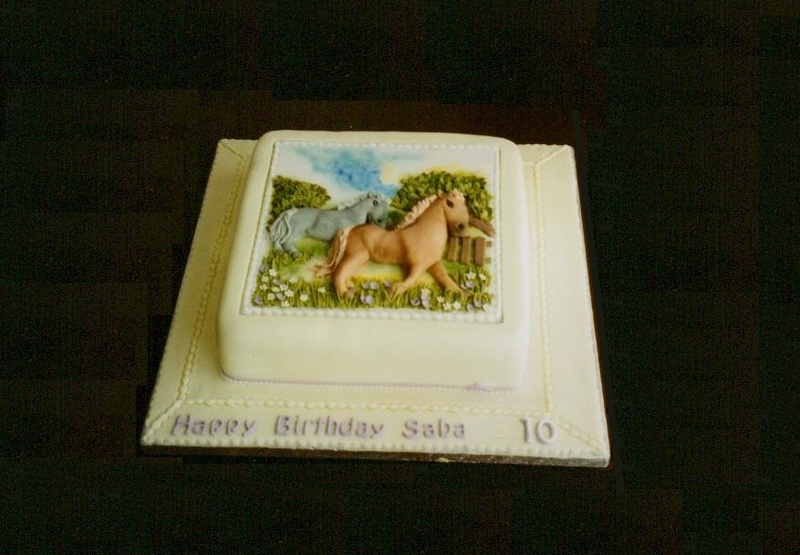 We use only the finest ingredients to make sure that the cake you have on your birthday is one to savour, remember and Enjoy. 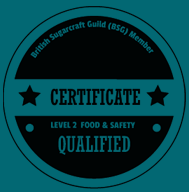 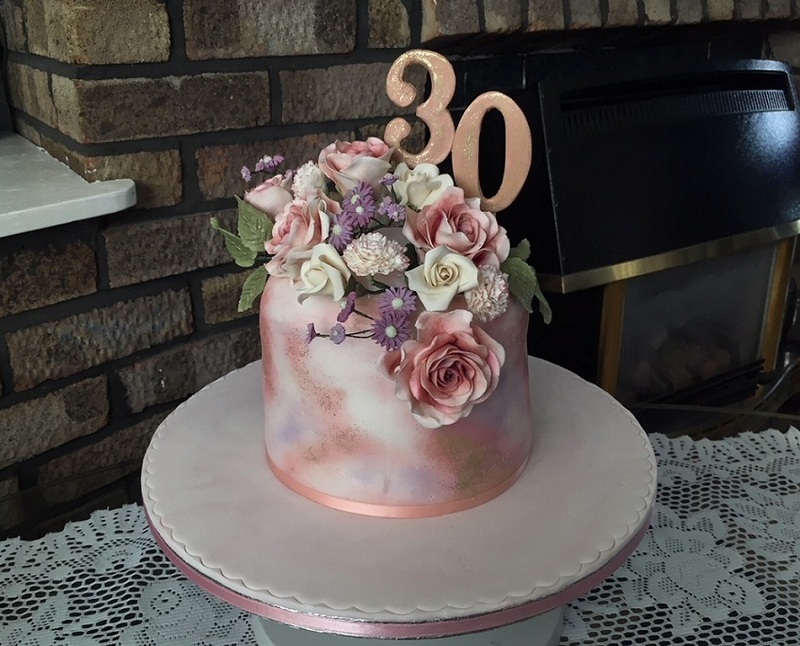 We have over 20 years experience with baking of cakes and all our products are hand baked in our custom-built Cake Studio in the heart of Brighton. 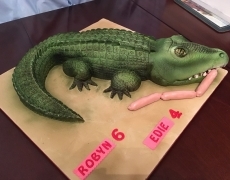 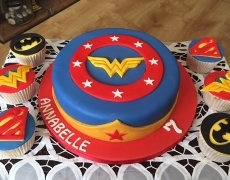 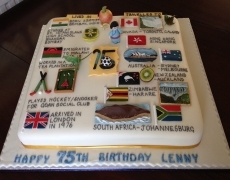 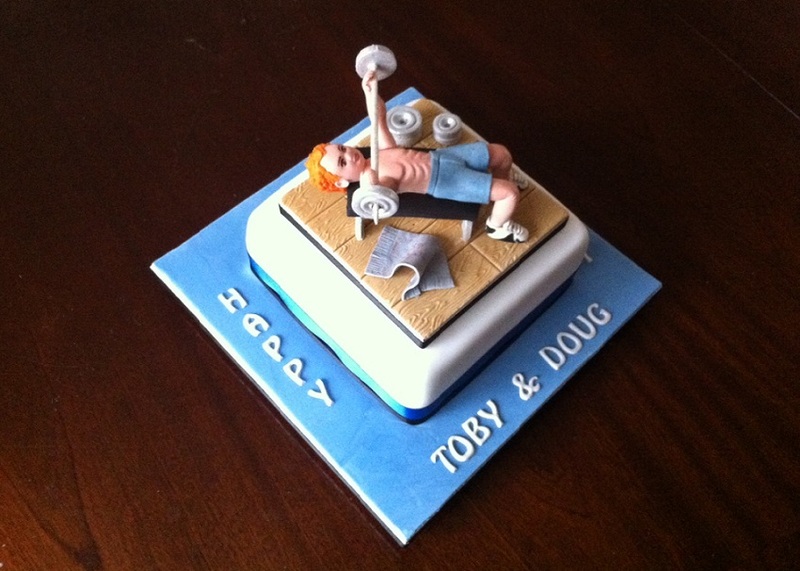 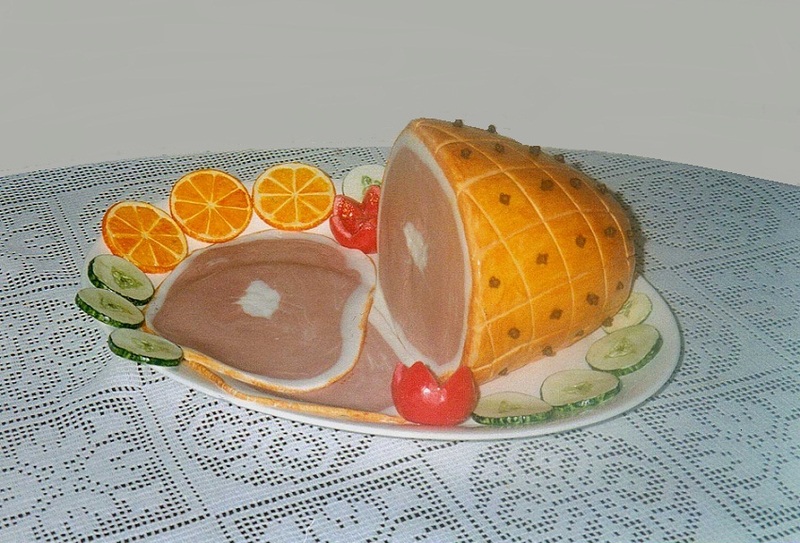 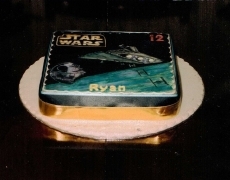 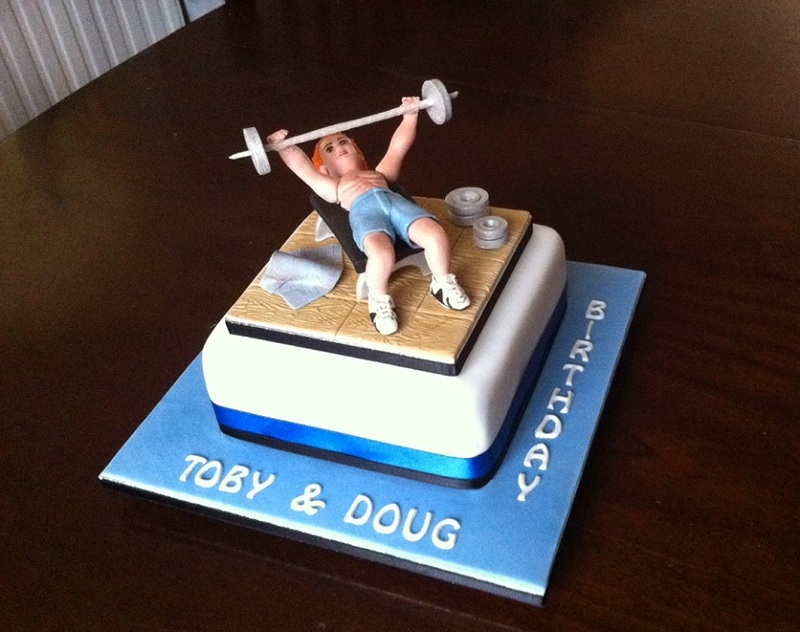 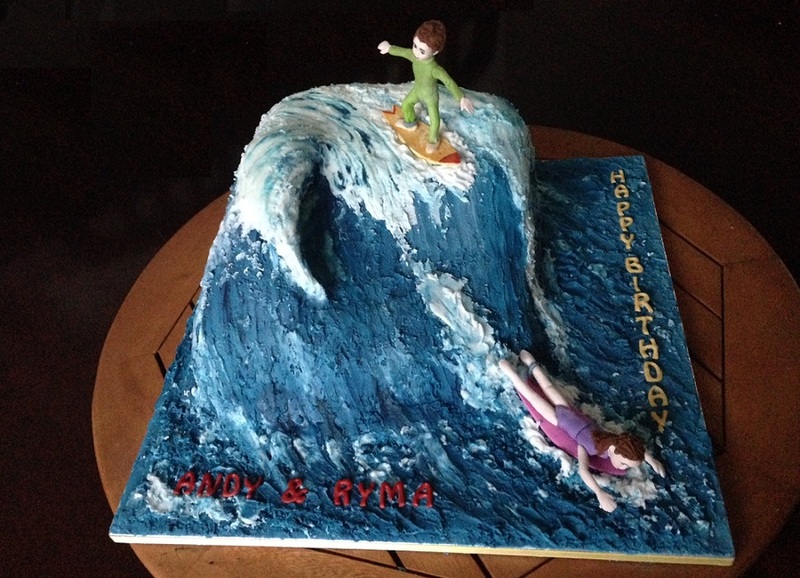 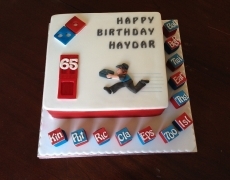 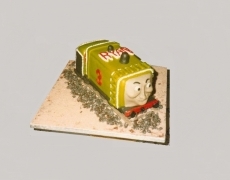 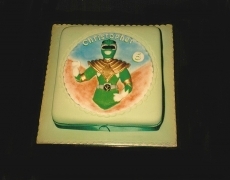 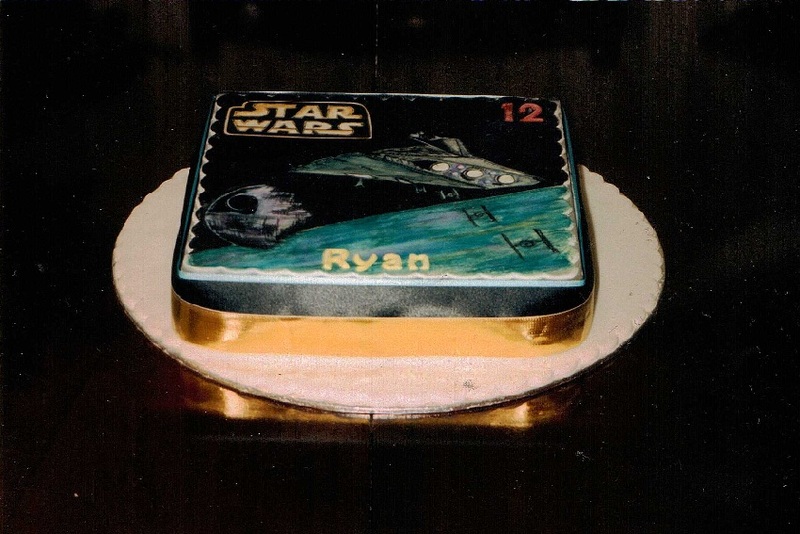 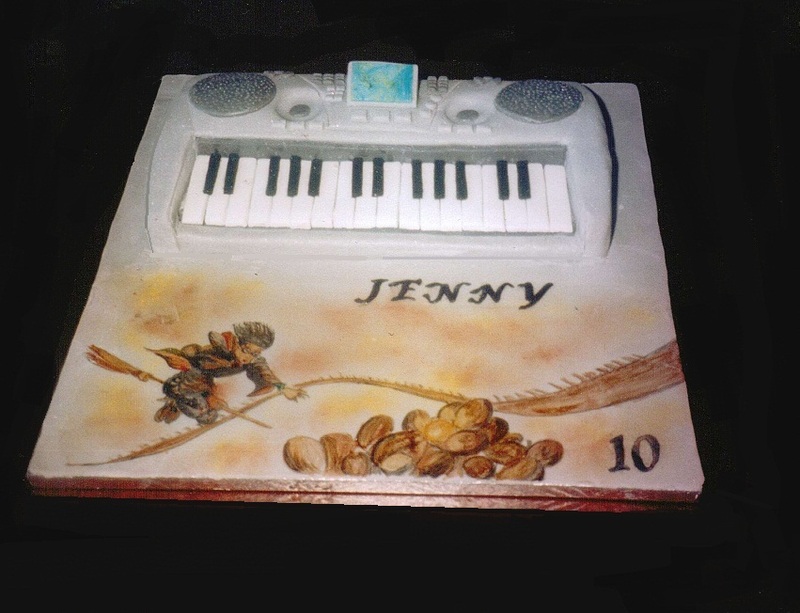 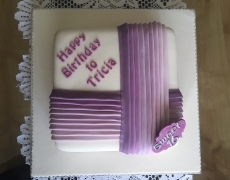 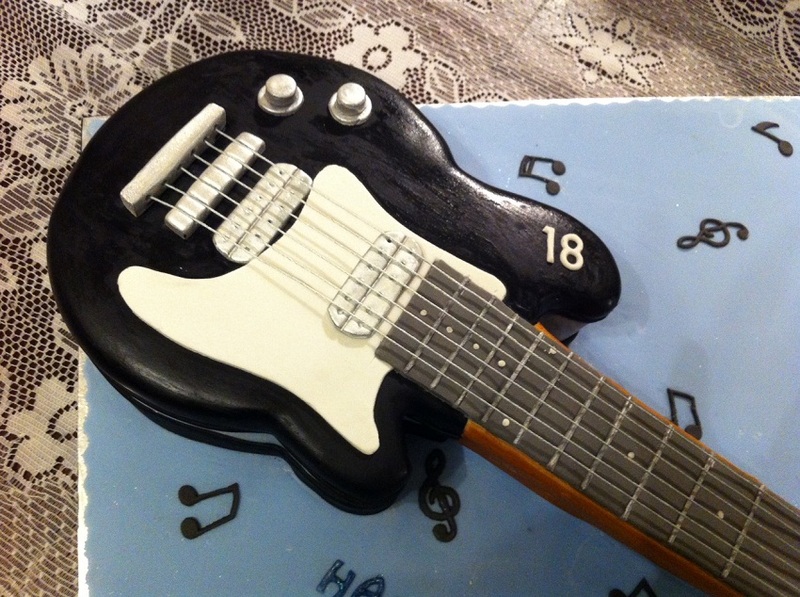 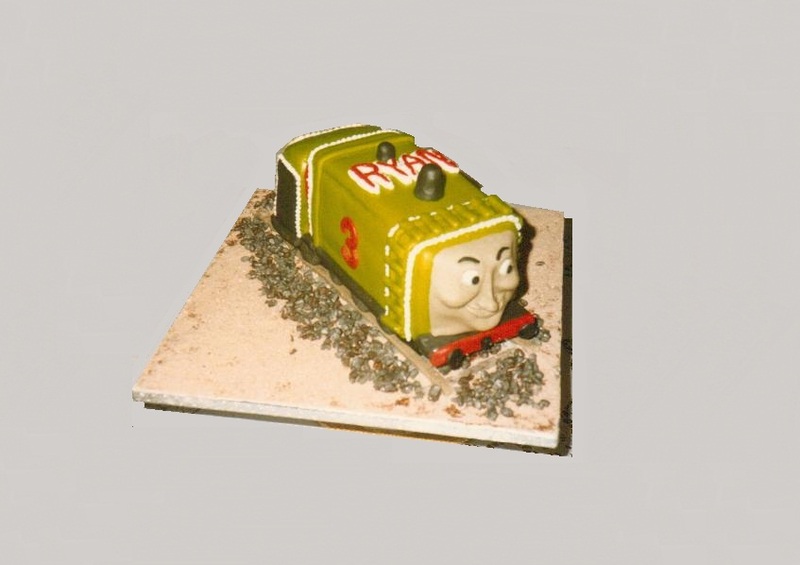 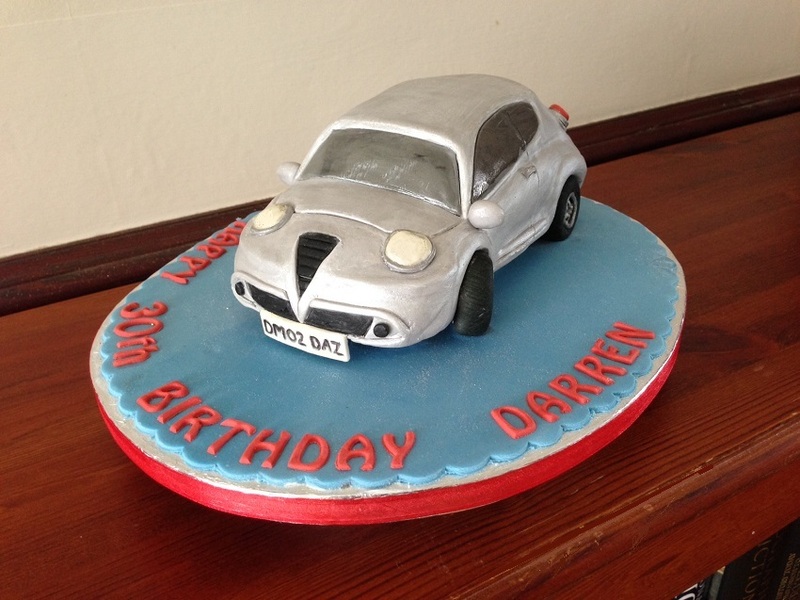 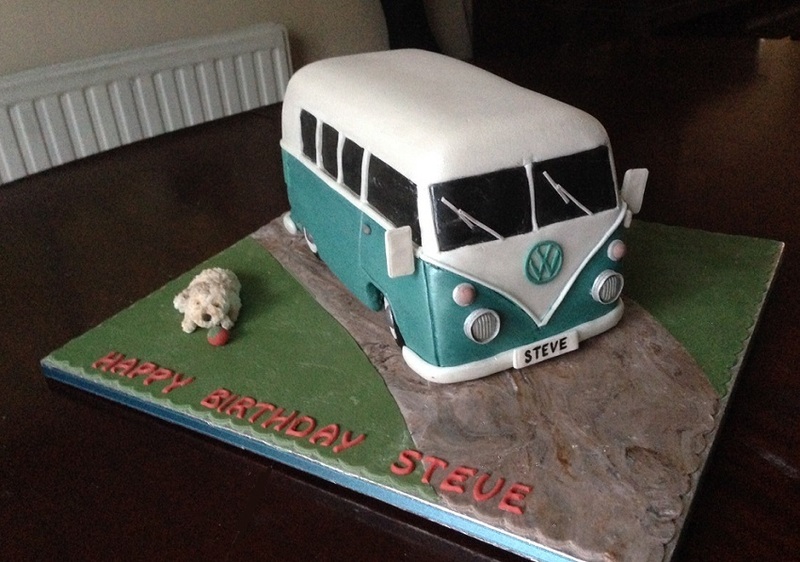 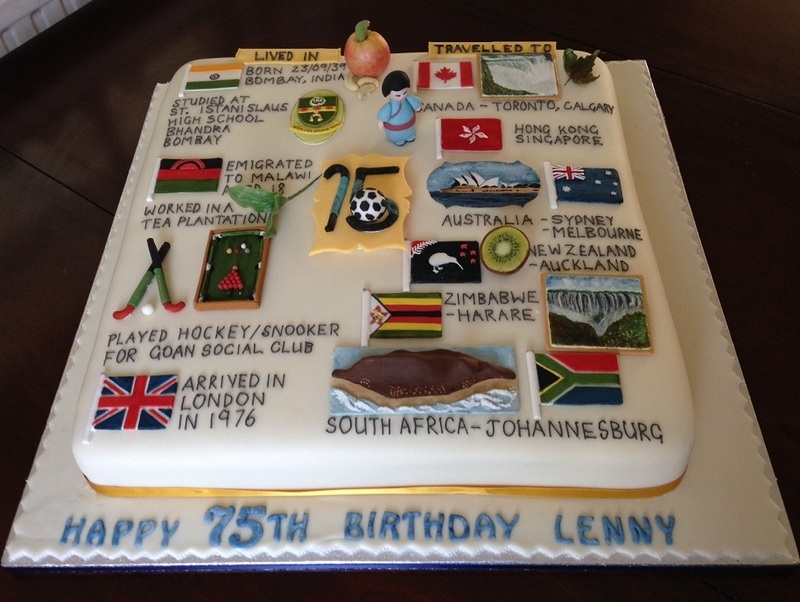 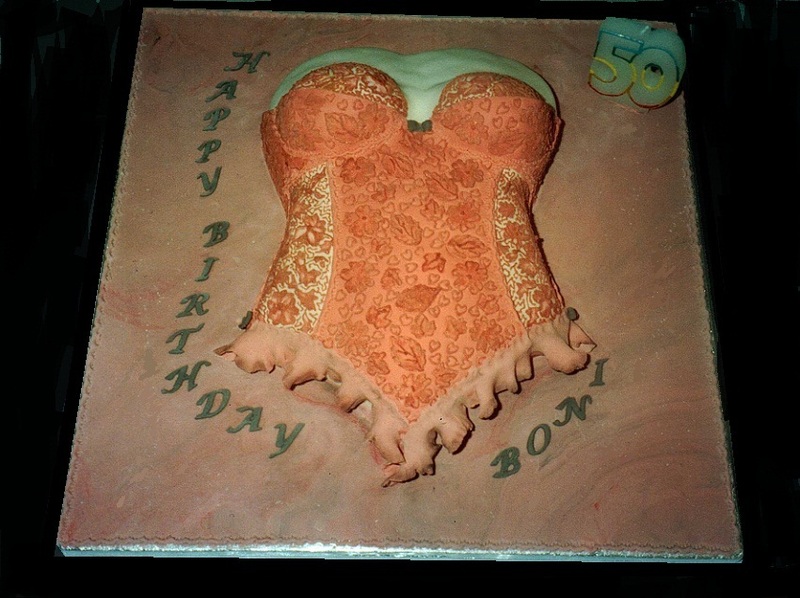 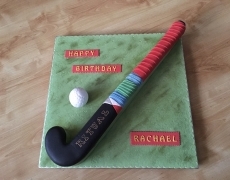 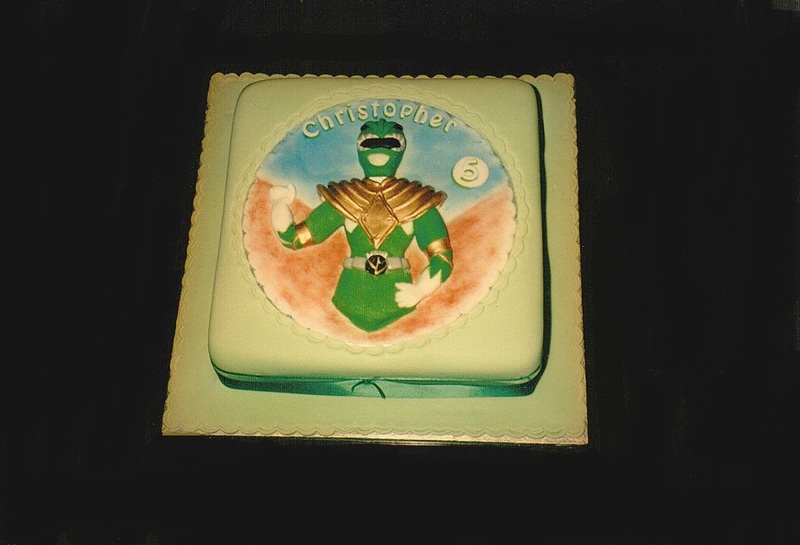 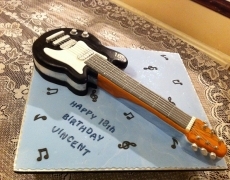 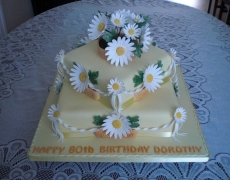 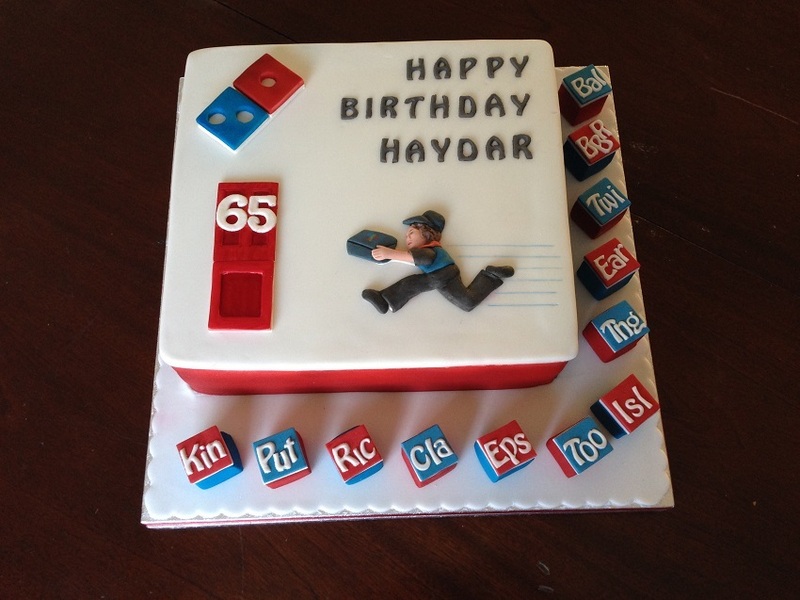 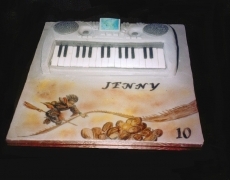 Birthday Cakes can come in a variety of shapes and sizes. 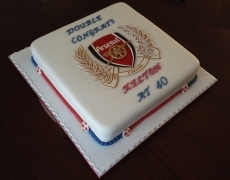 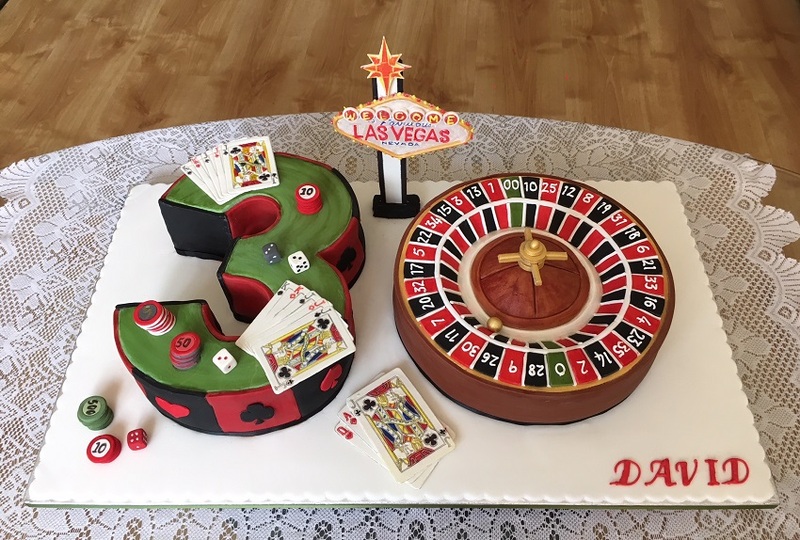 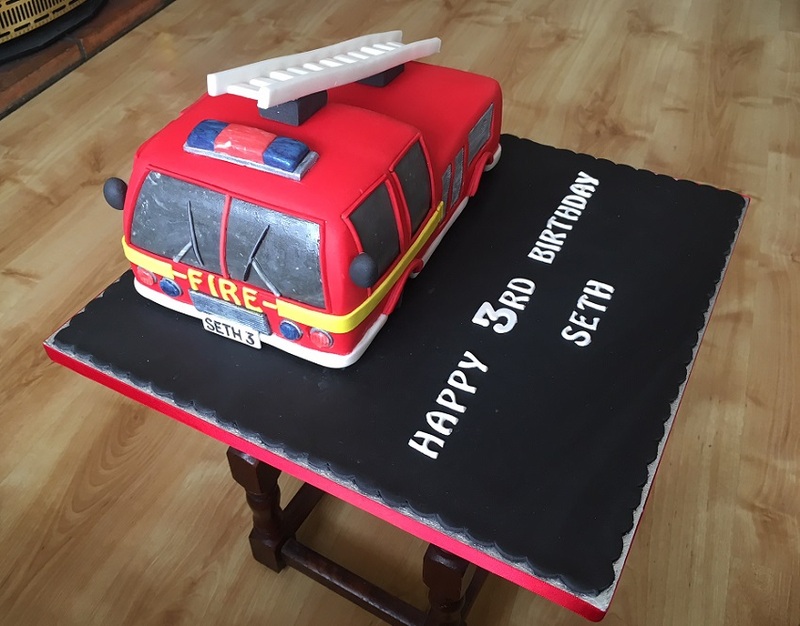 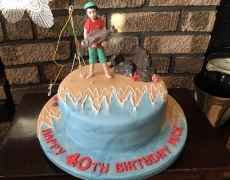 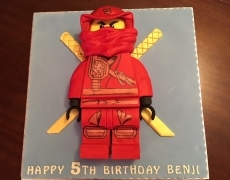 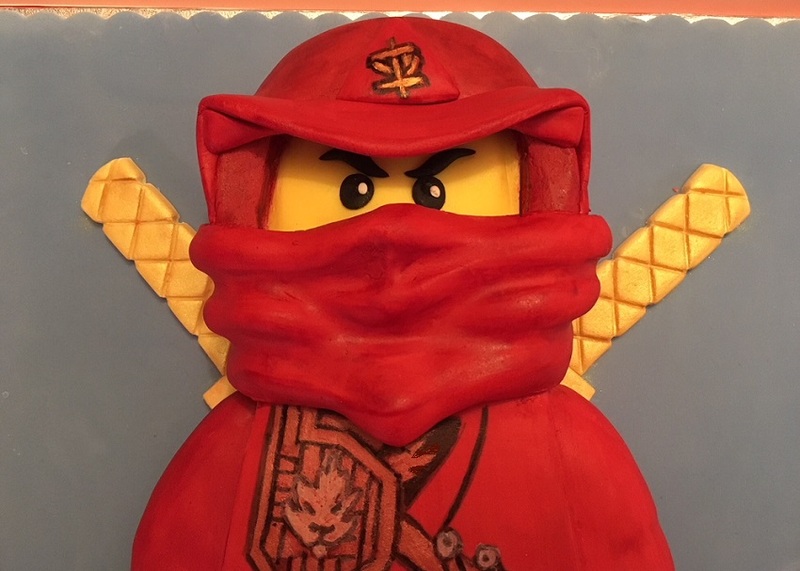 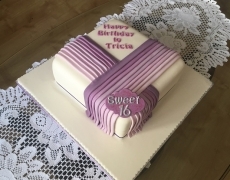 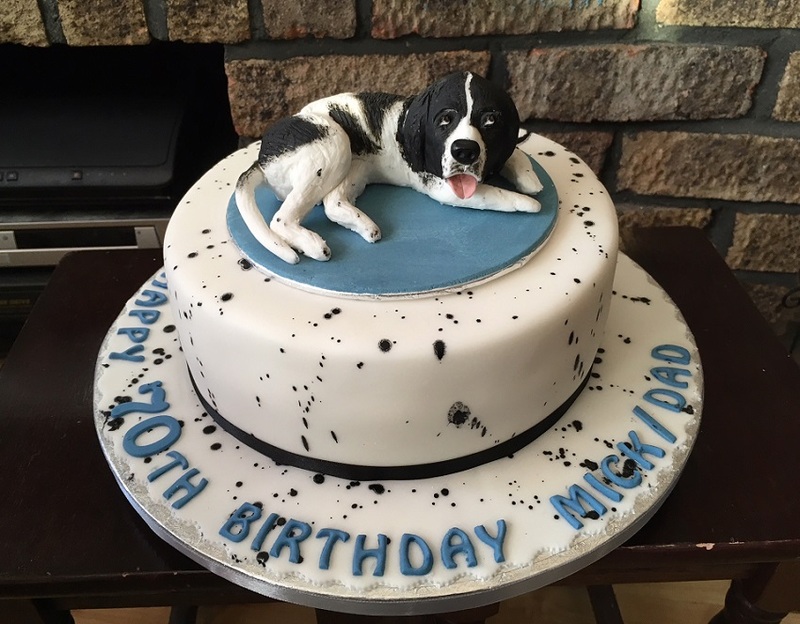 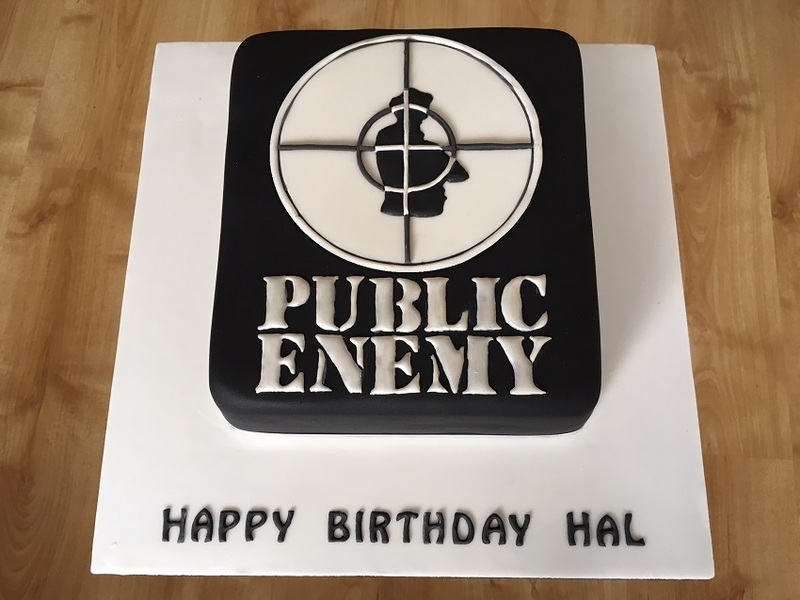 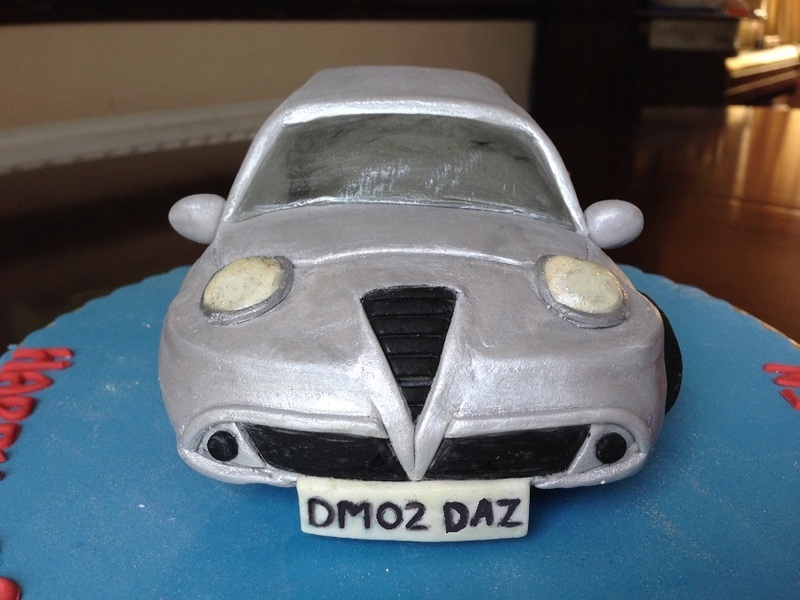 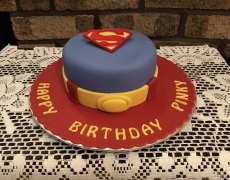 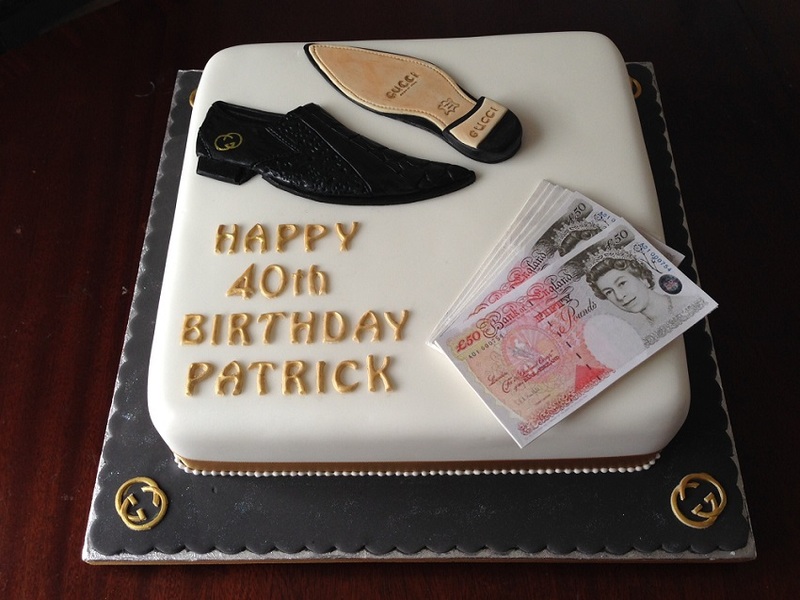 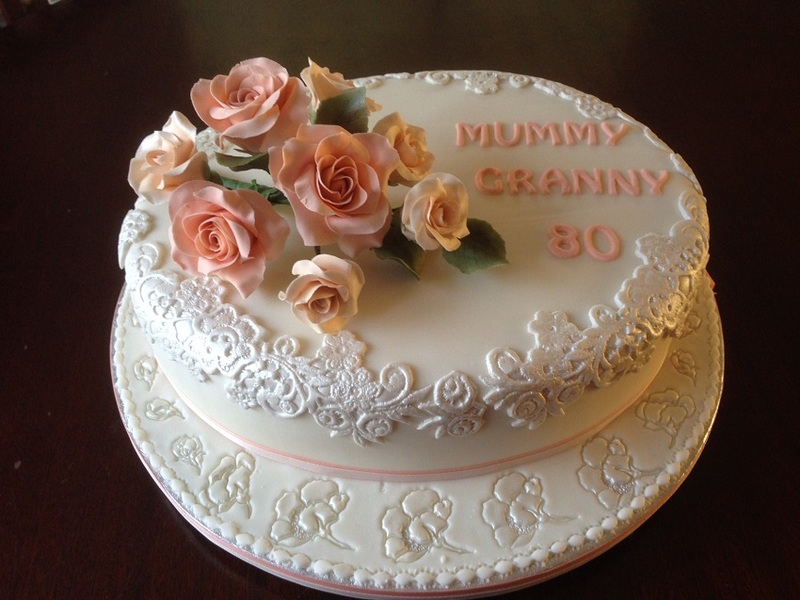 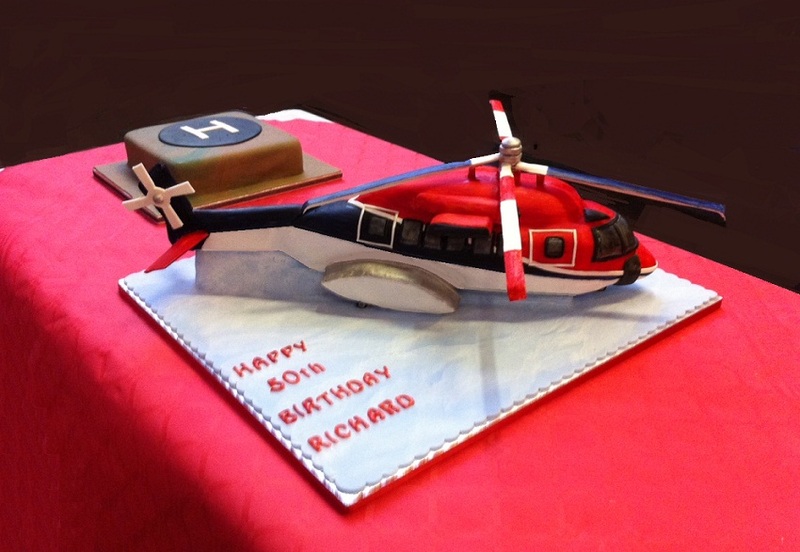 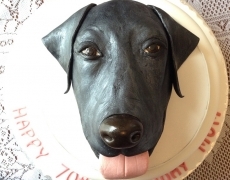 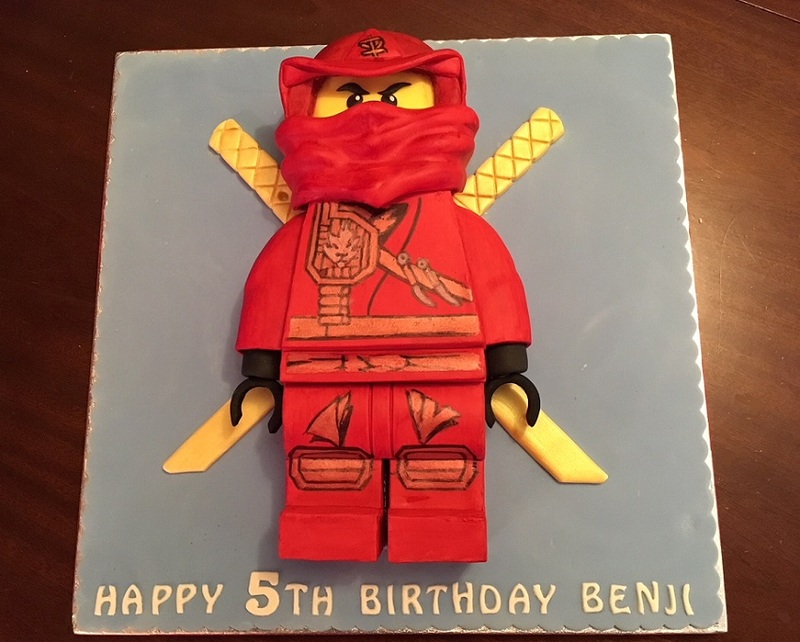 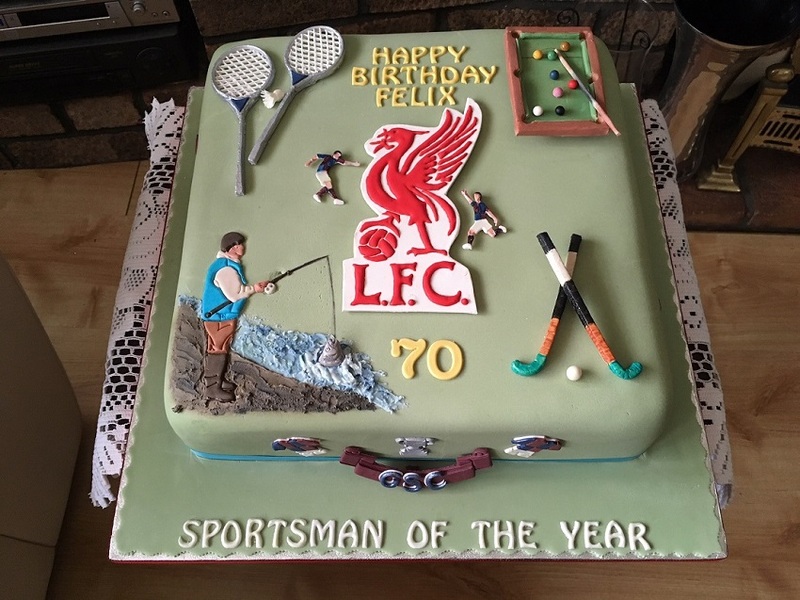 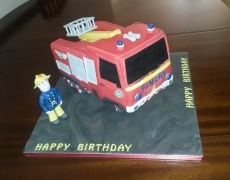 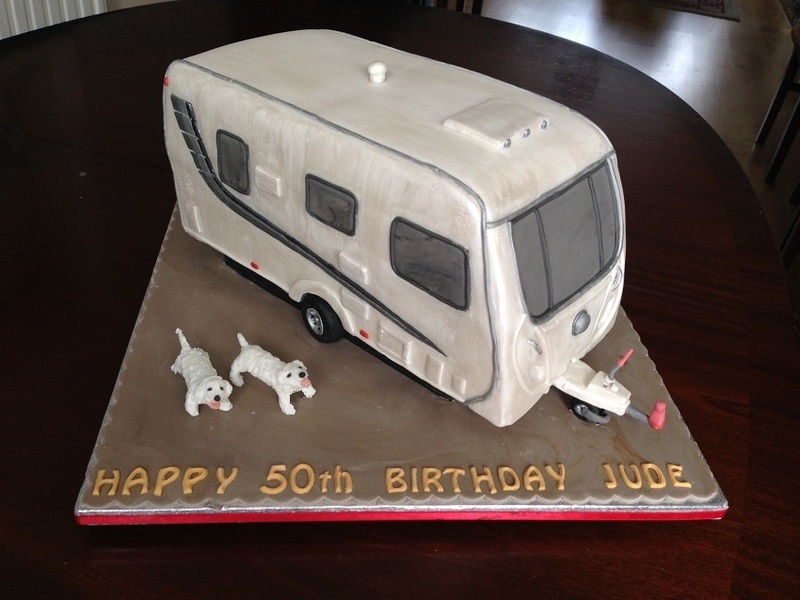 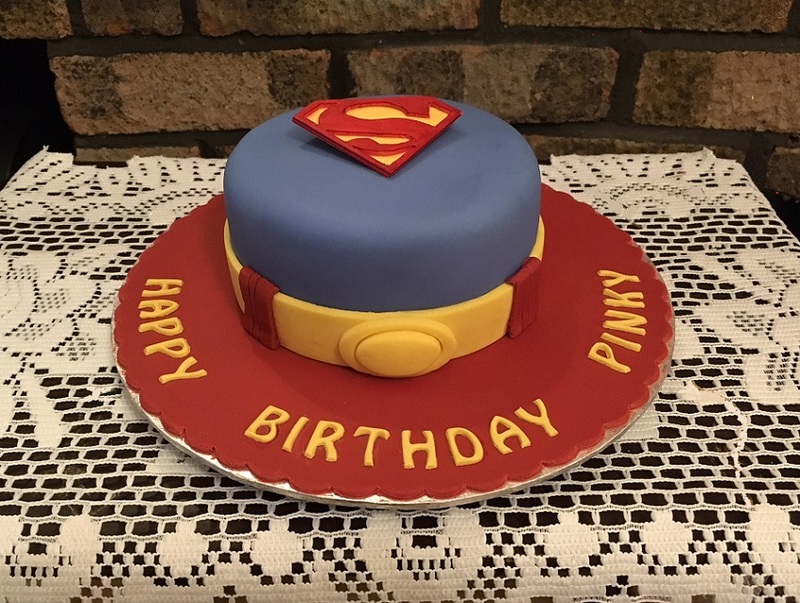 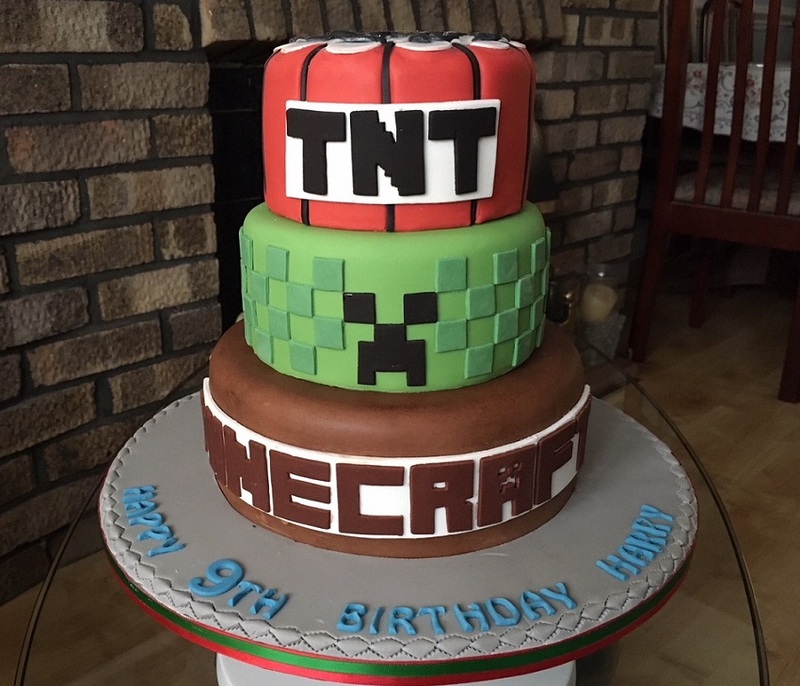 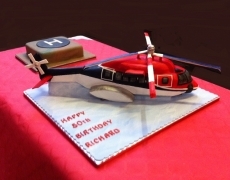 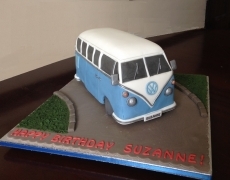 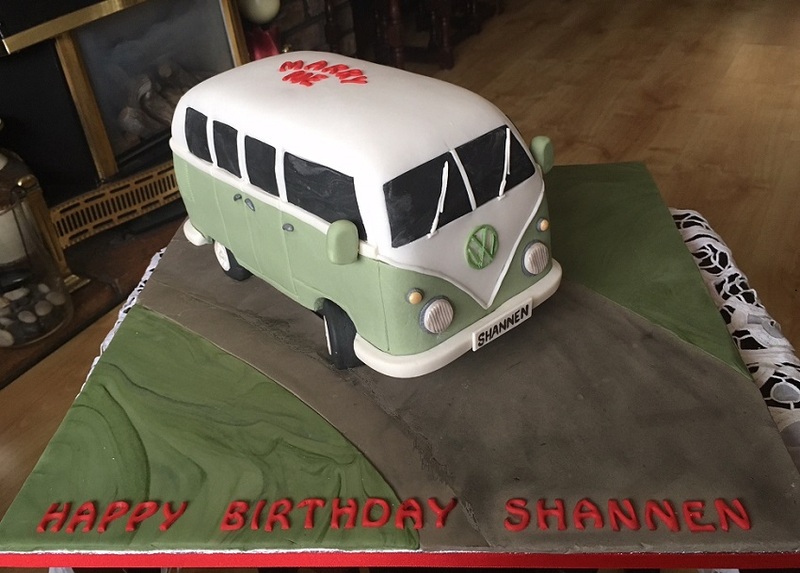 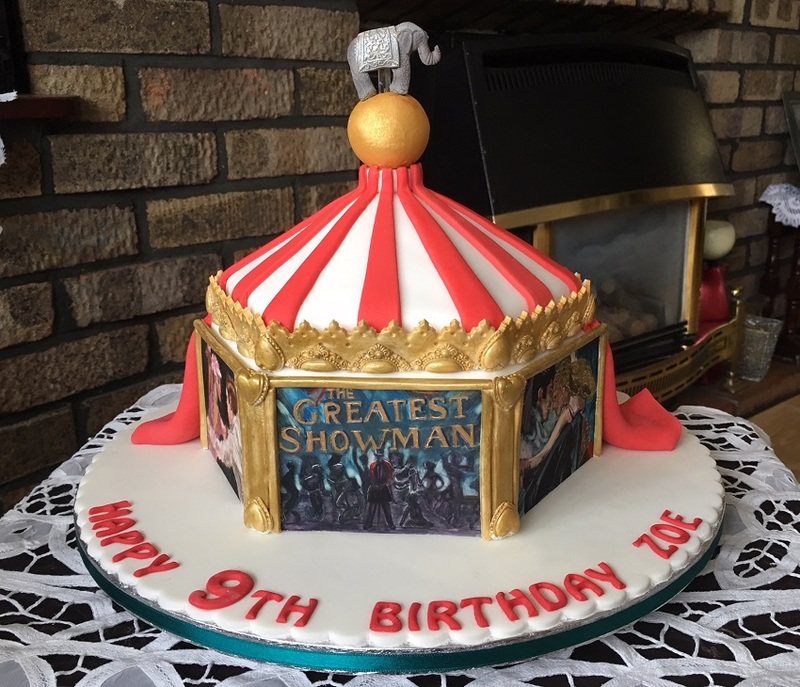 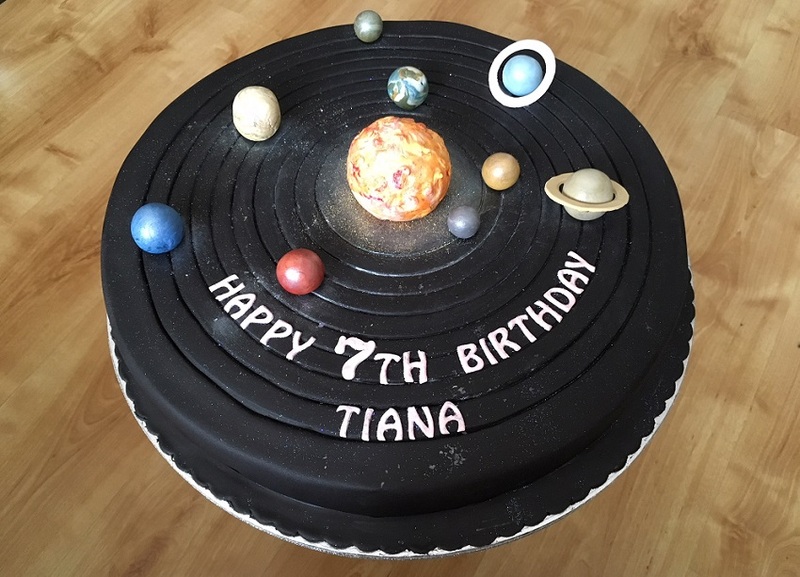 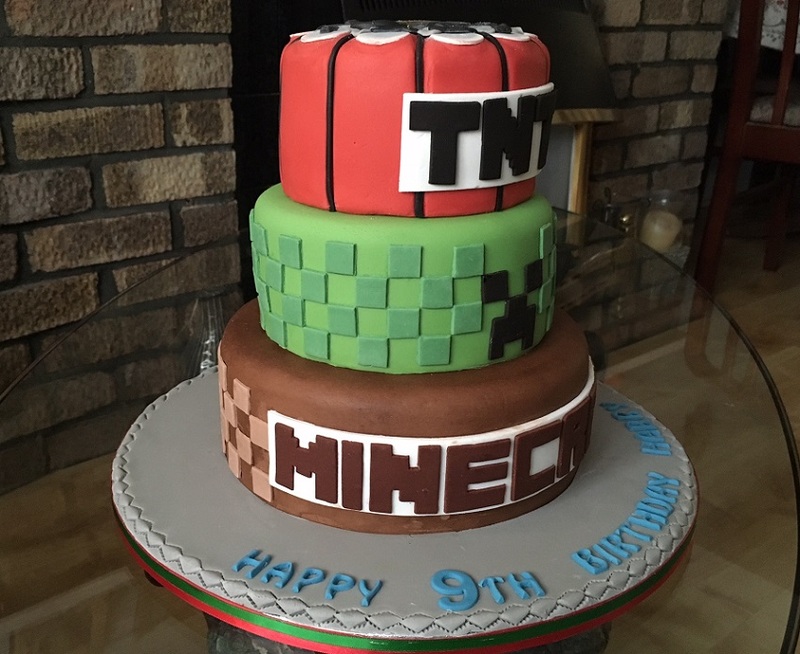 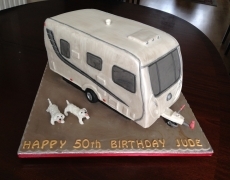 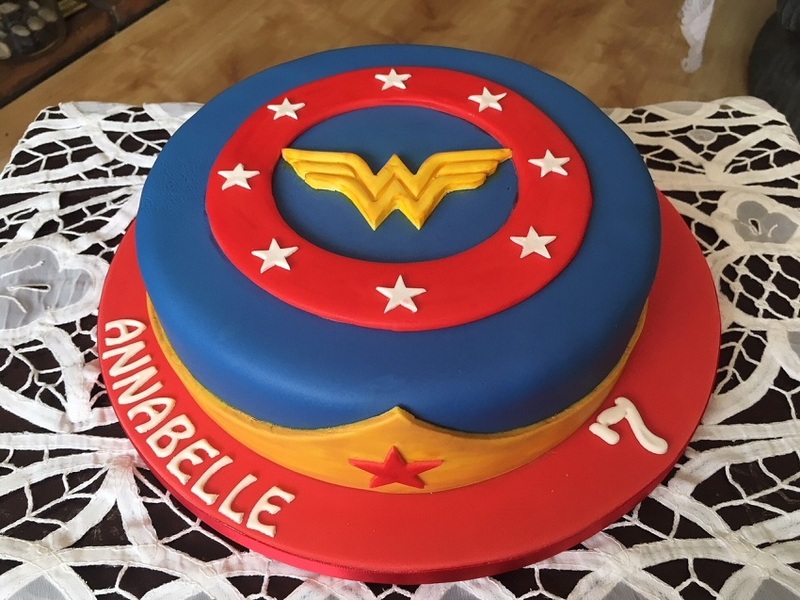 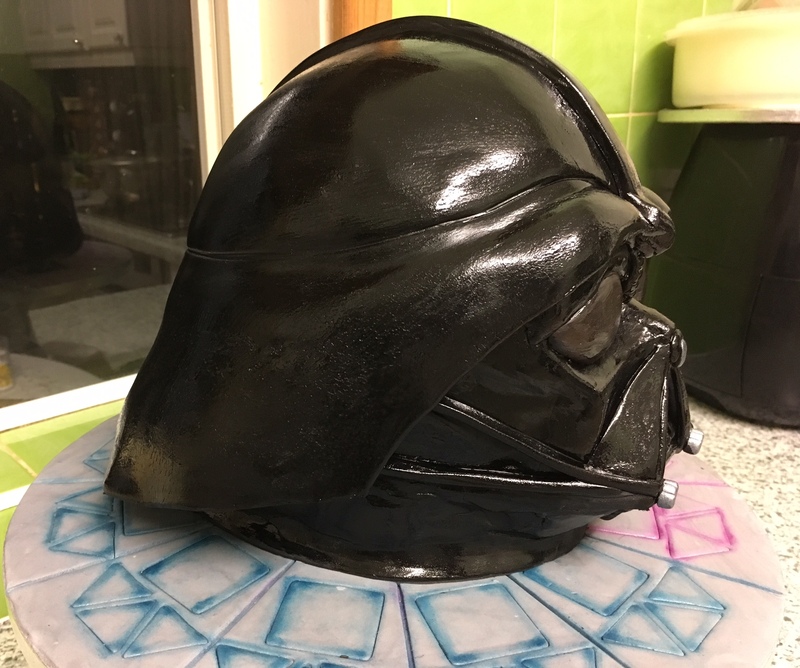 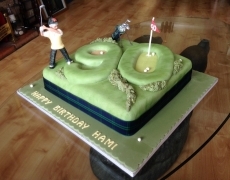 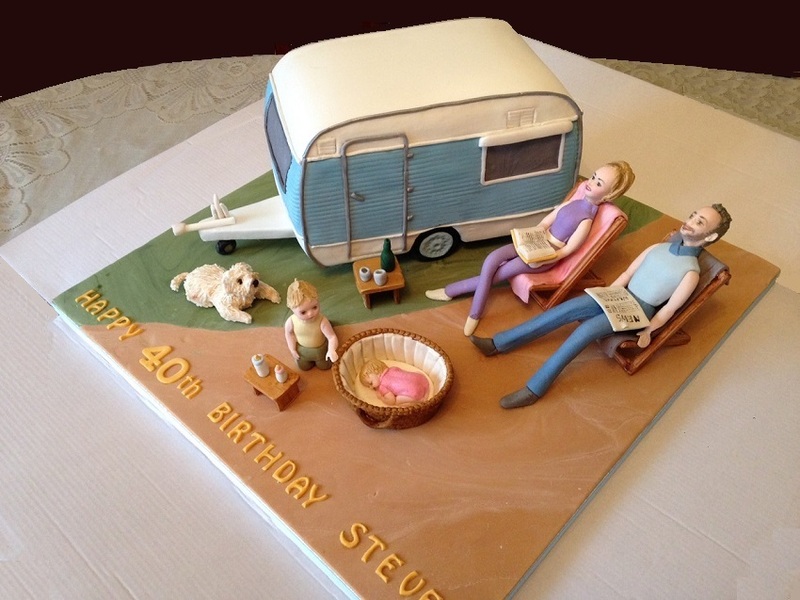 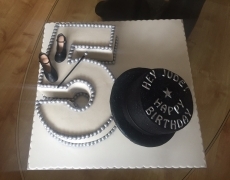 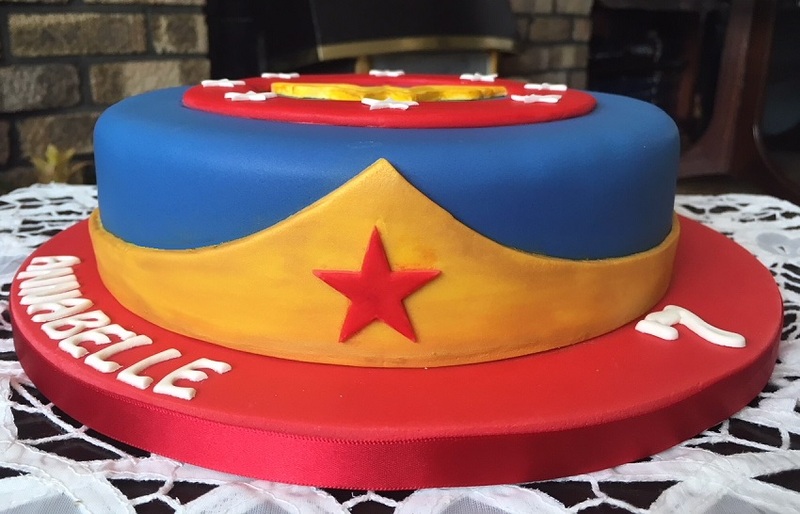 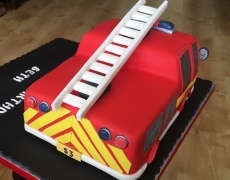 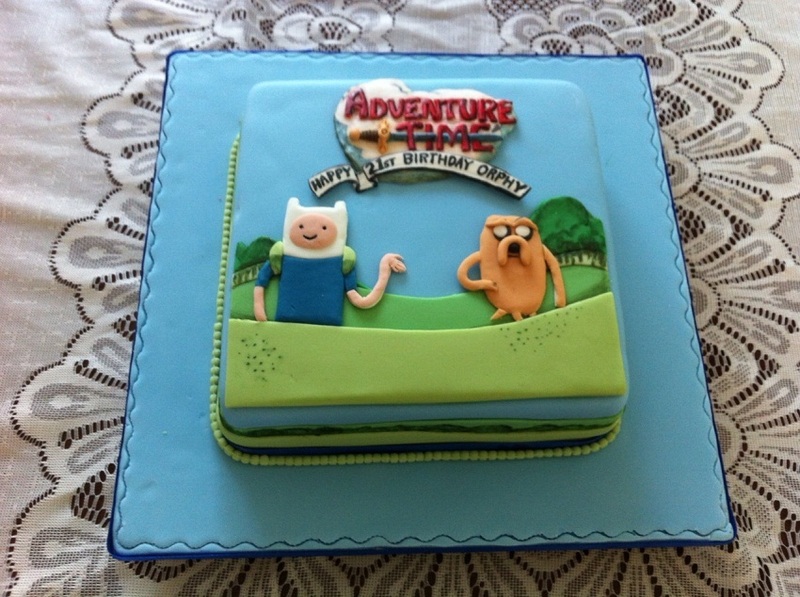 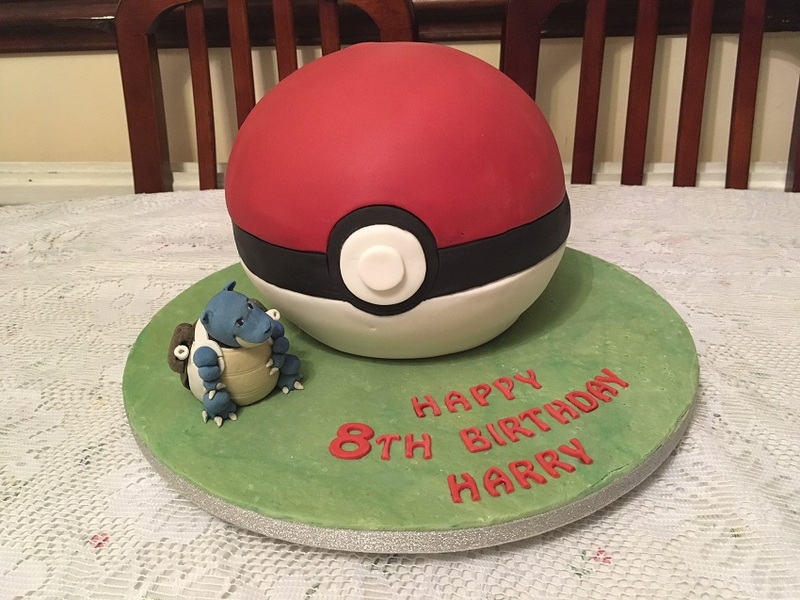 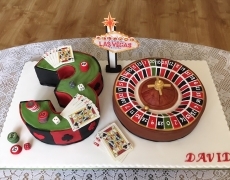 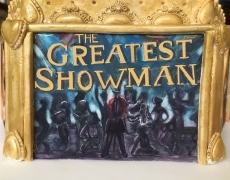 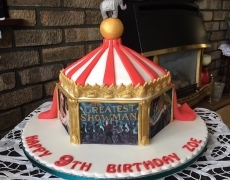 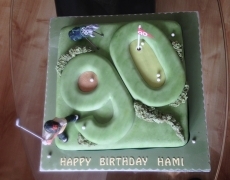 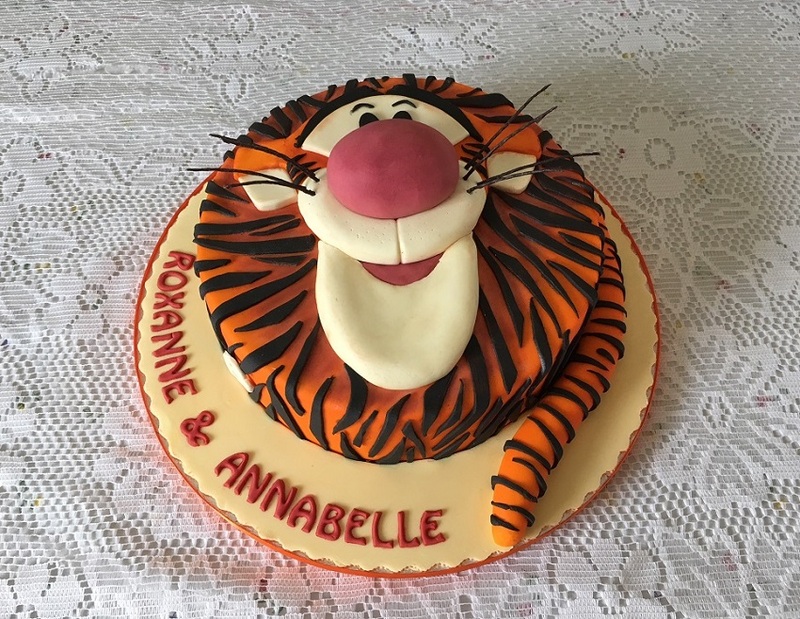 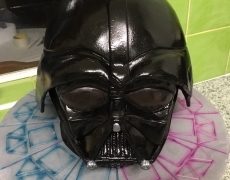 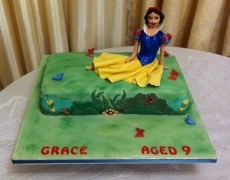 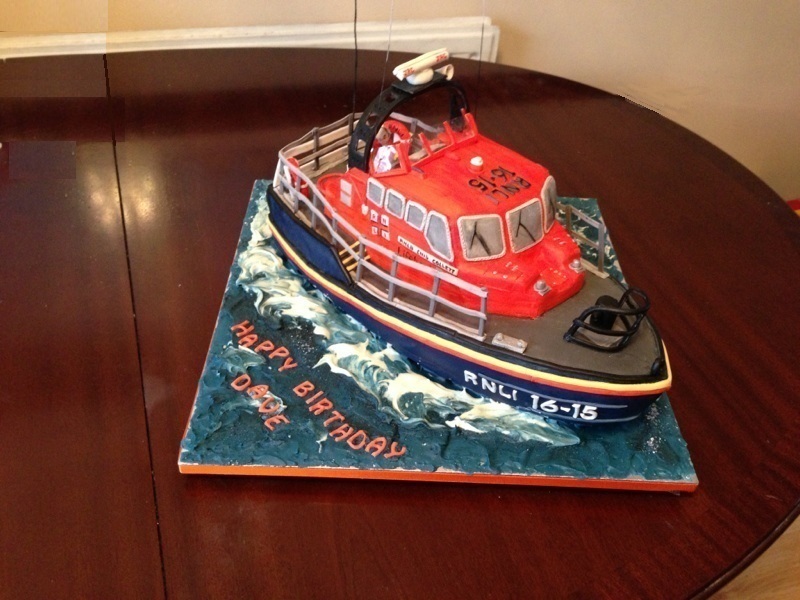 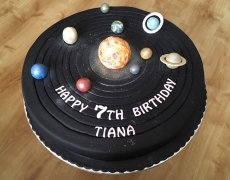 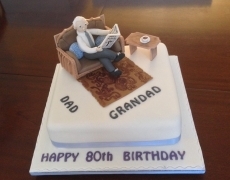 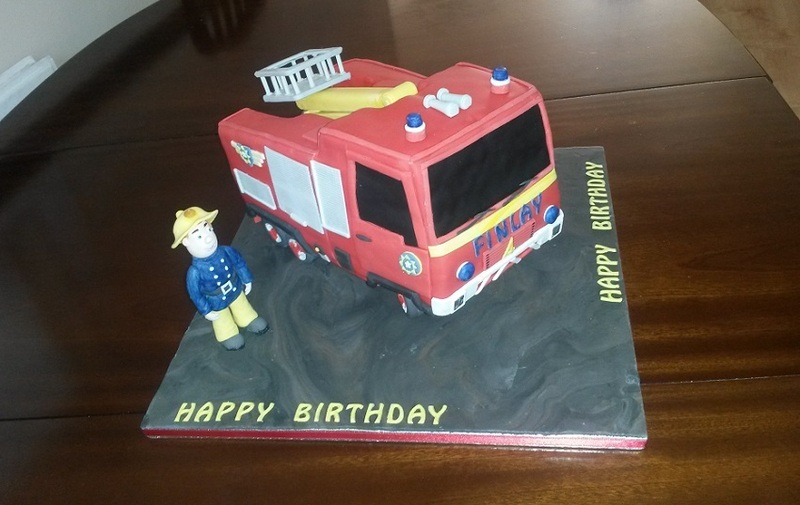 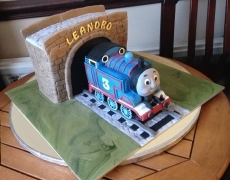 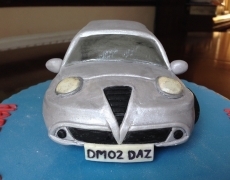 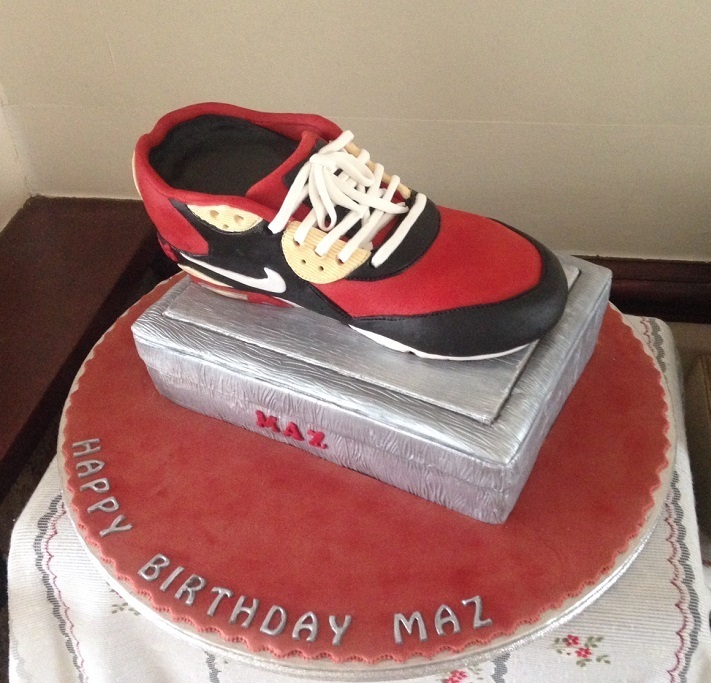 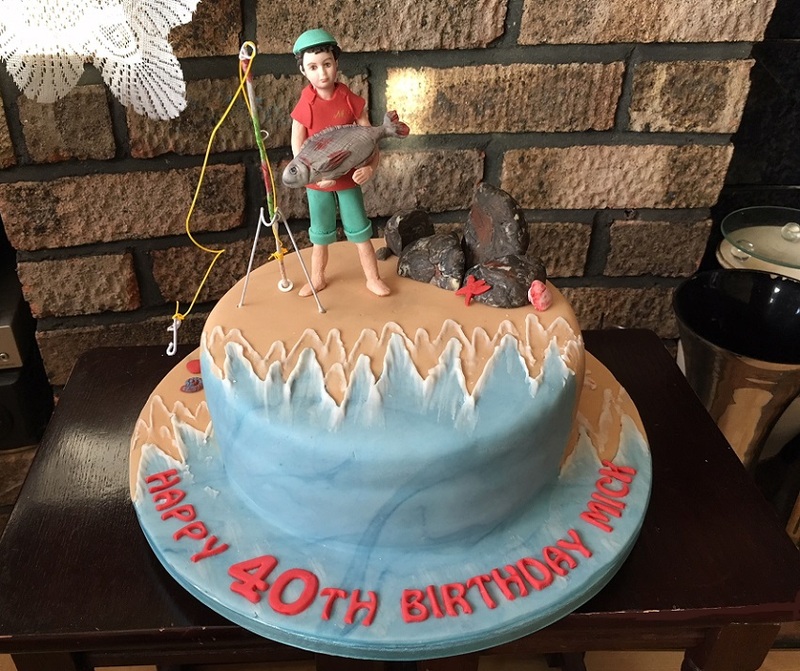 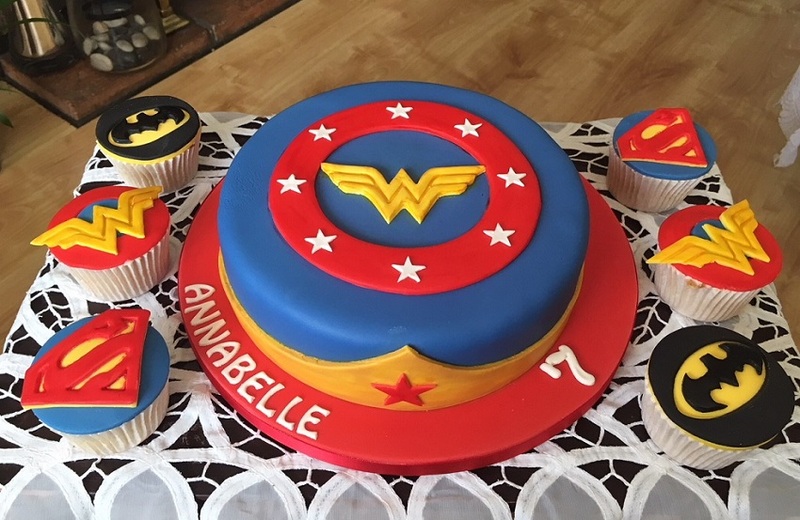 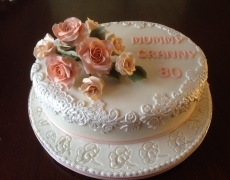 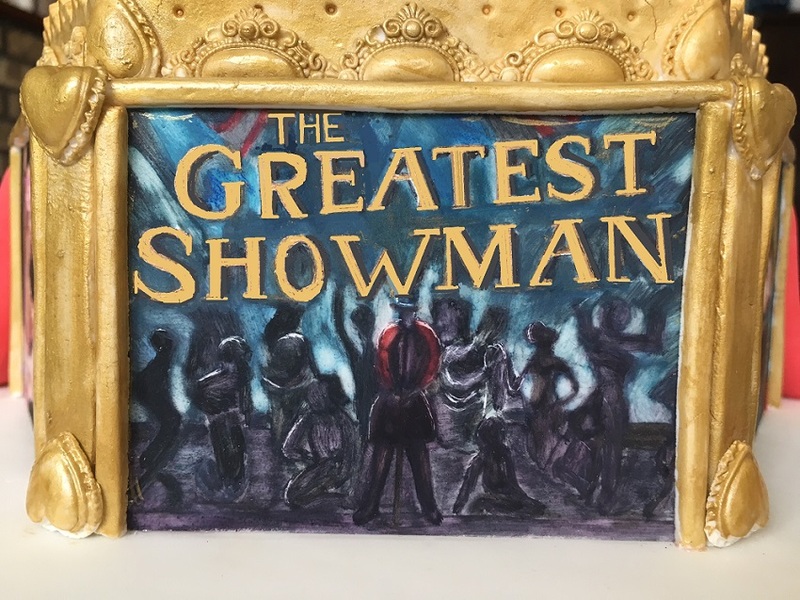 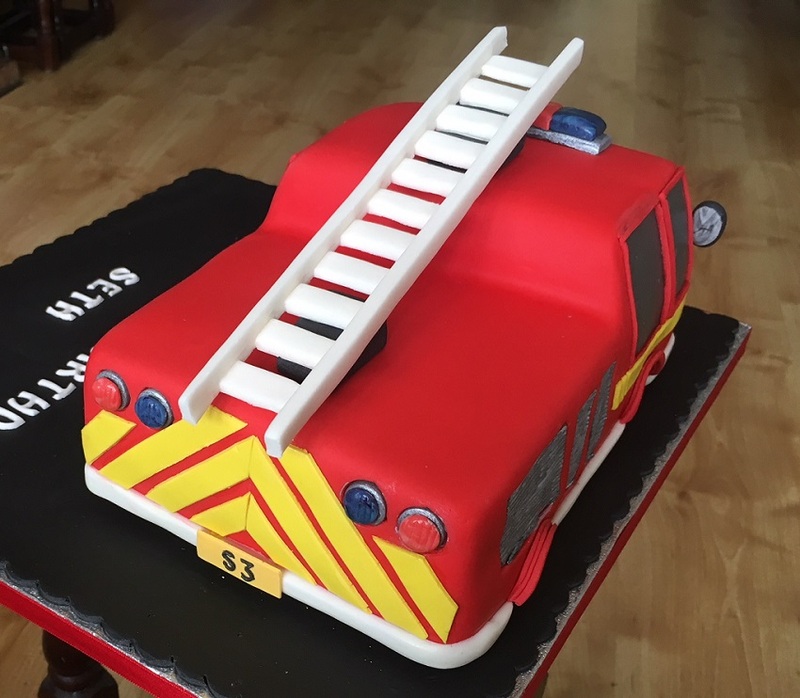 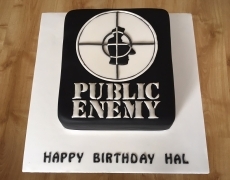 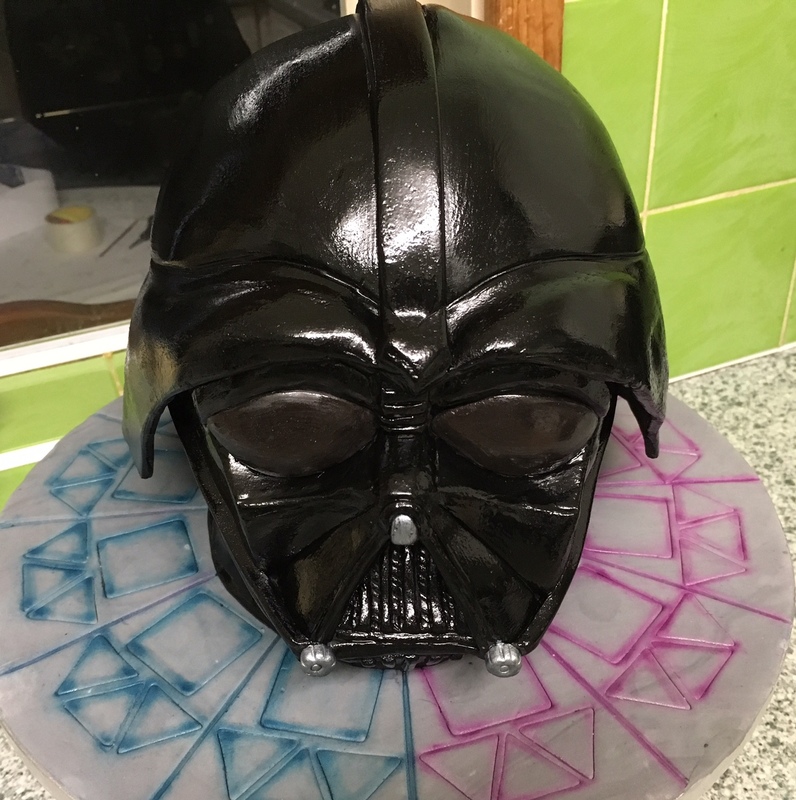 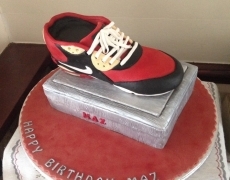 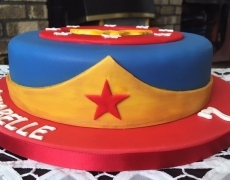 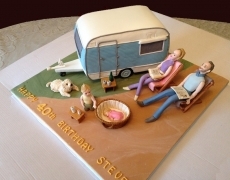 To provide an extra special birthday treat, a lot of the cakes we’re commissioned to bake, are customised and come at the direct request and specification of our clients. 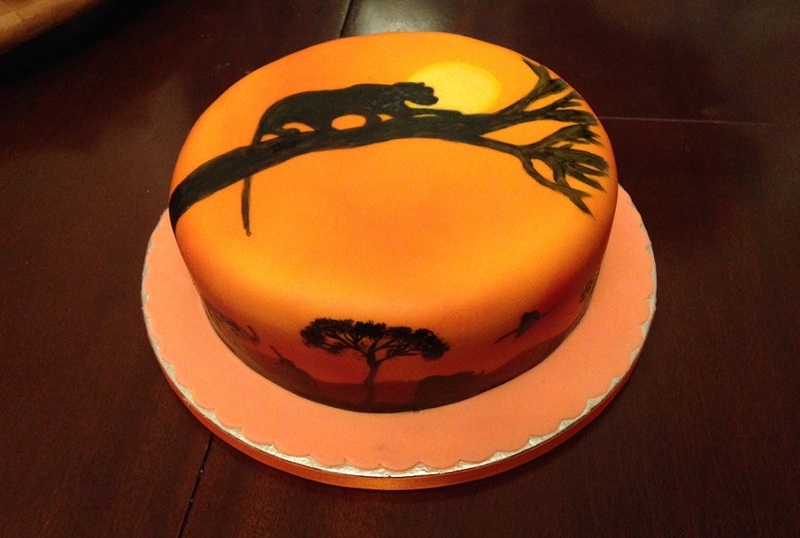 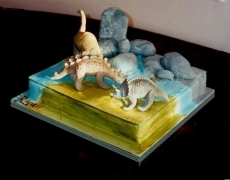 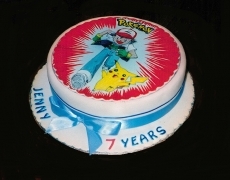 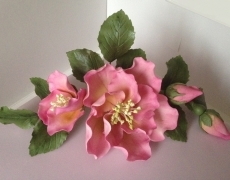 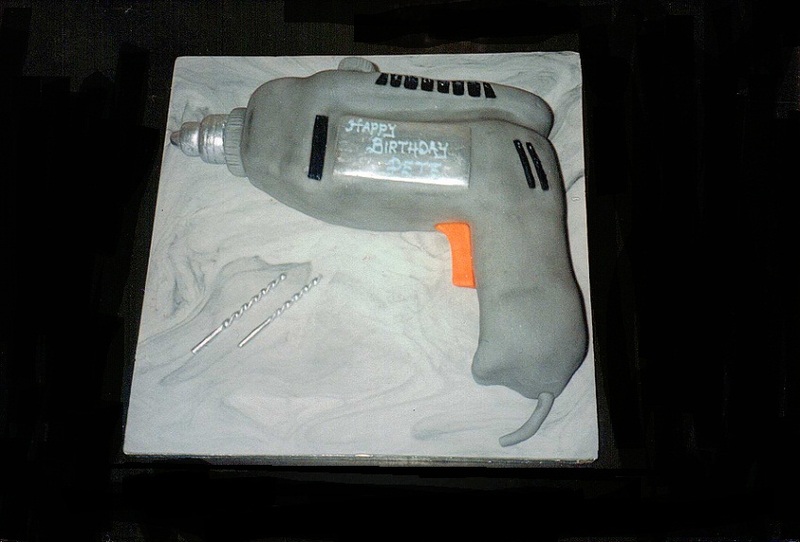 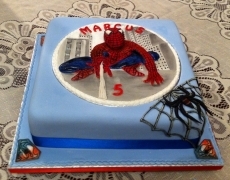 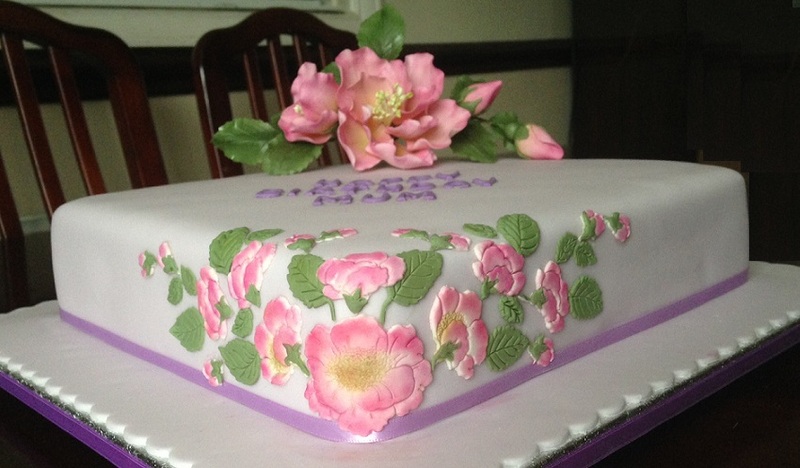 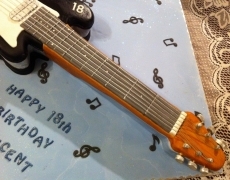 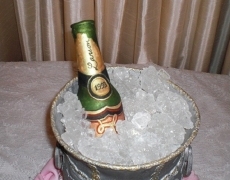 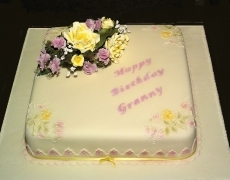 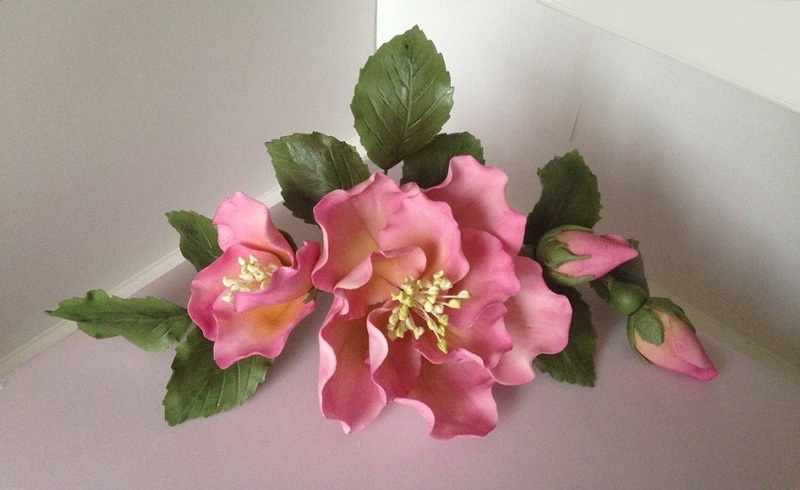 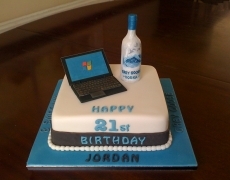 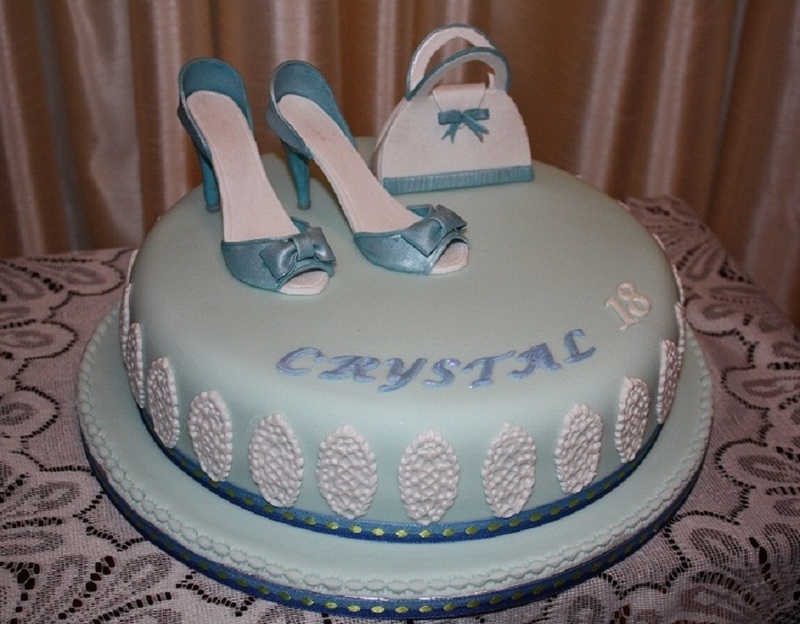 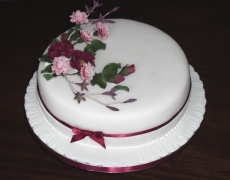 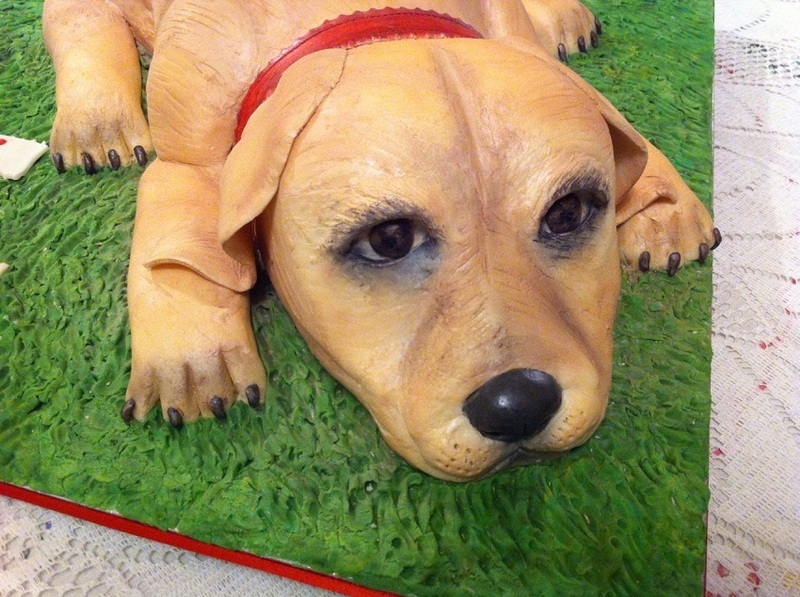 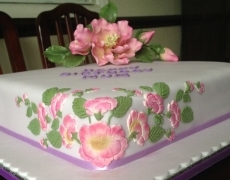 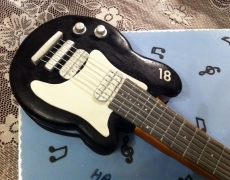 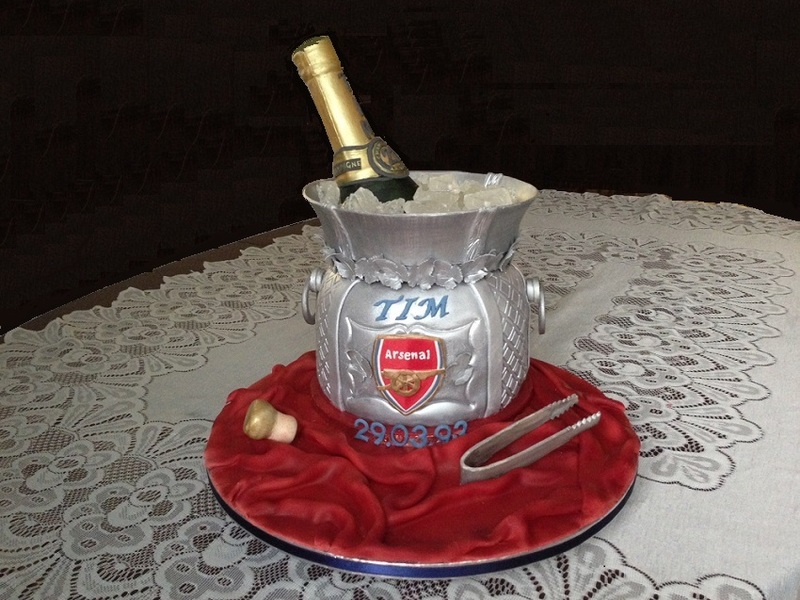 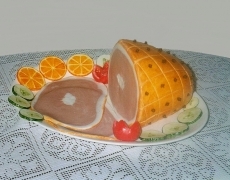 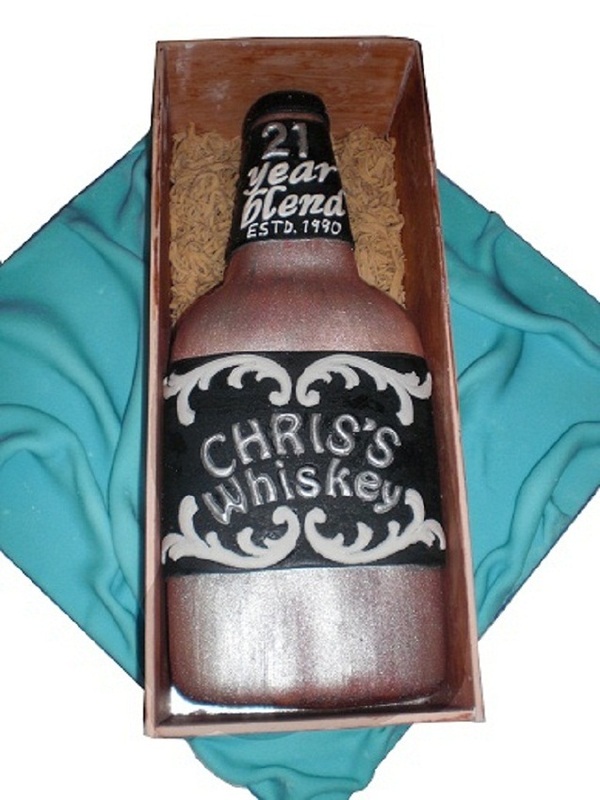 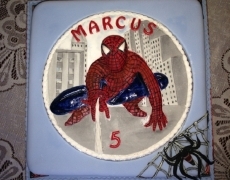 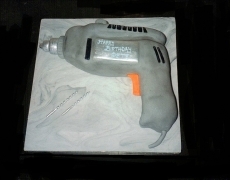 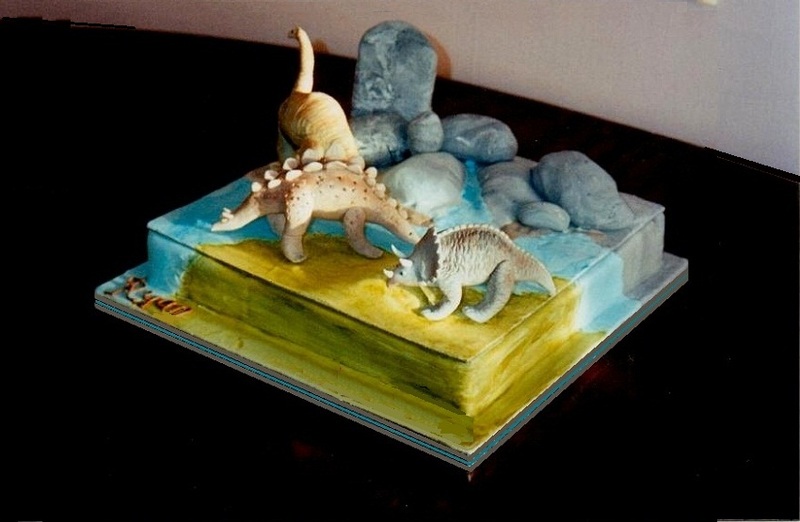 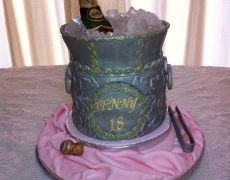 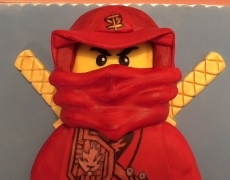 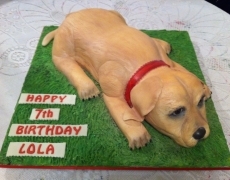 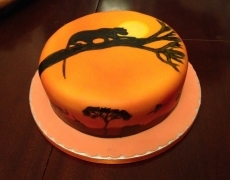 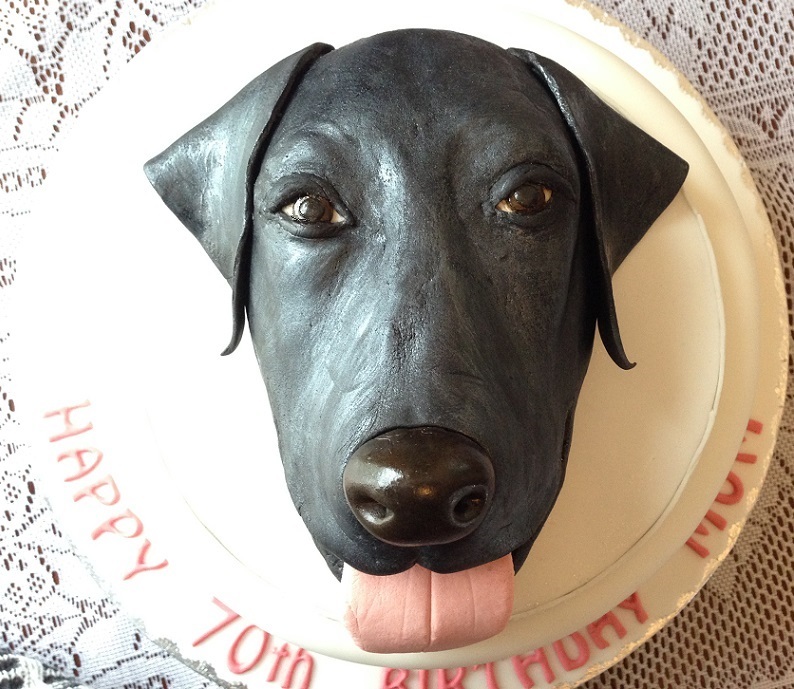 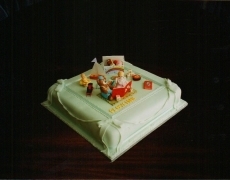 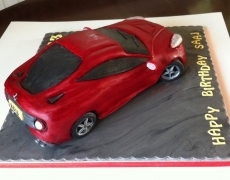 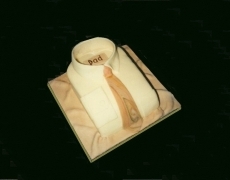 With Flair4Cakes, you can rest assured that we’ll be able to craft any type of cake you want. 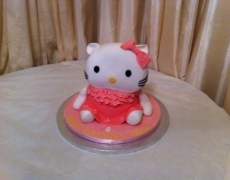 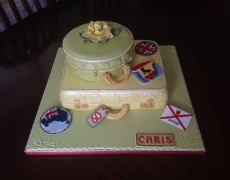 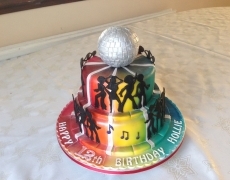 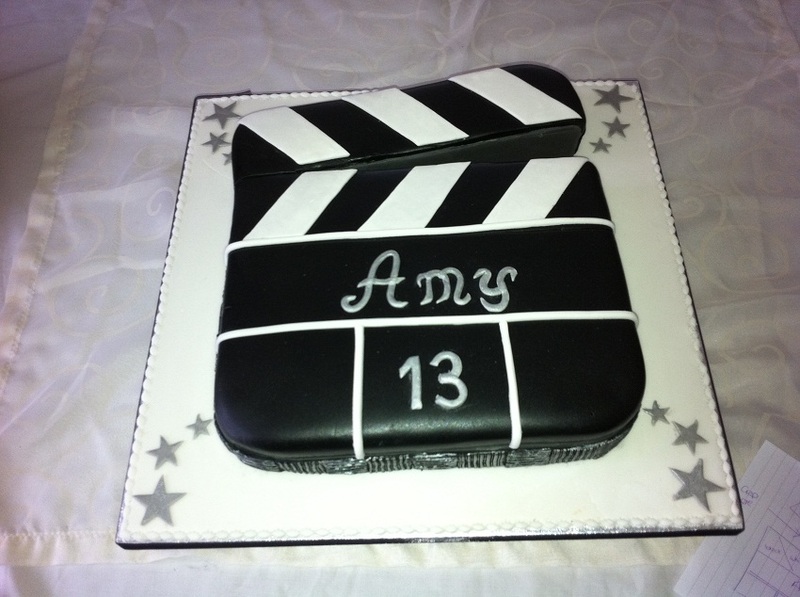 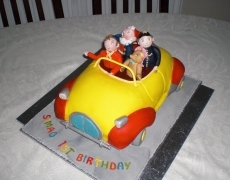 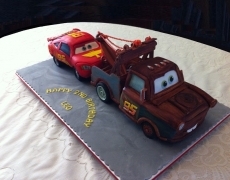 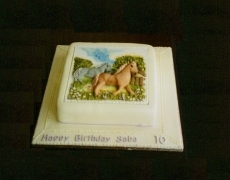 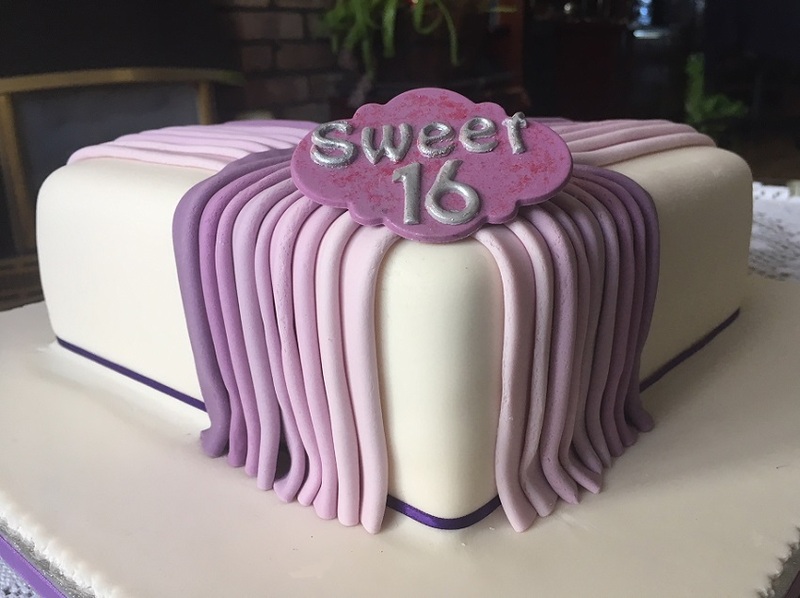 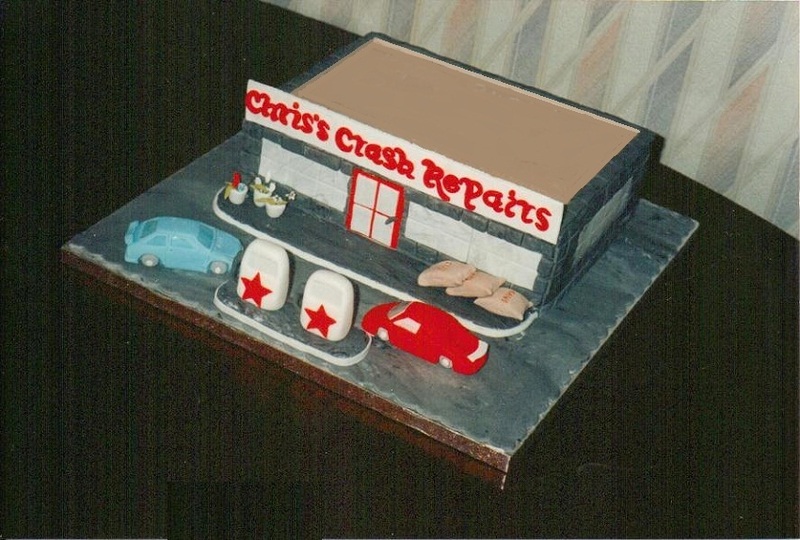 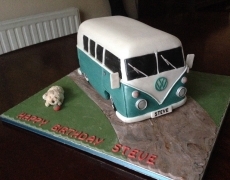 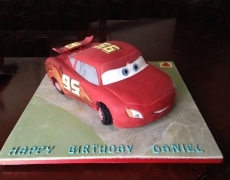 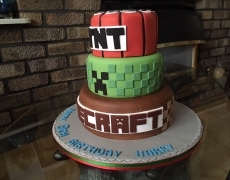 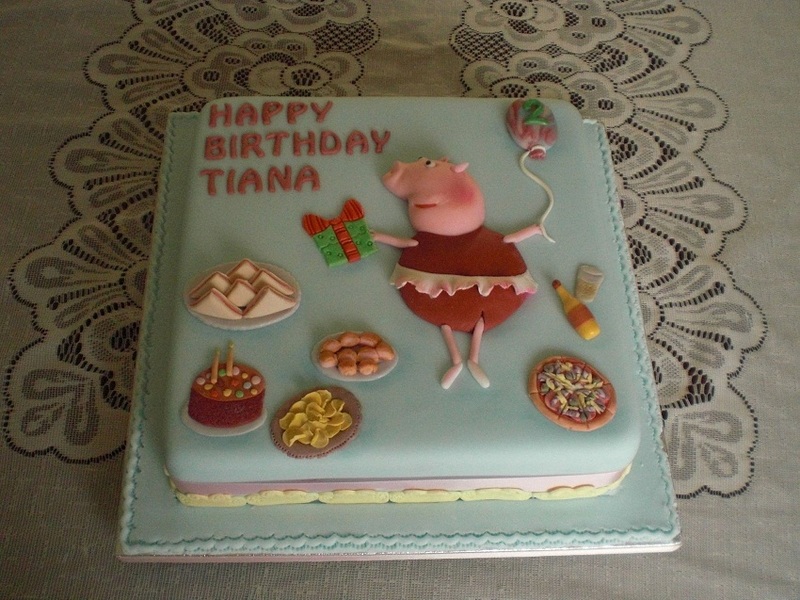 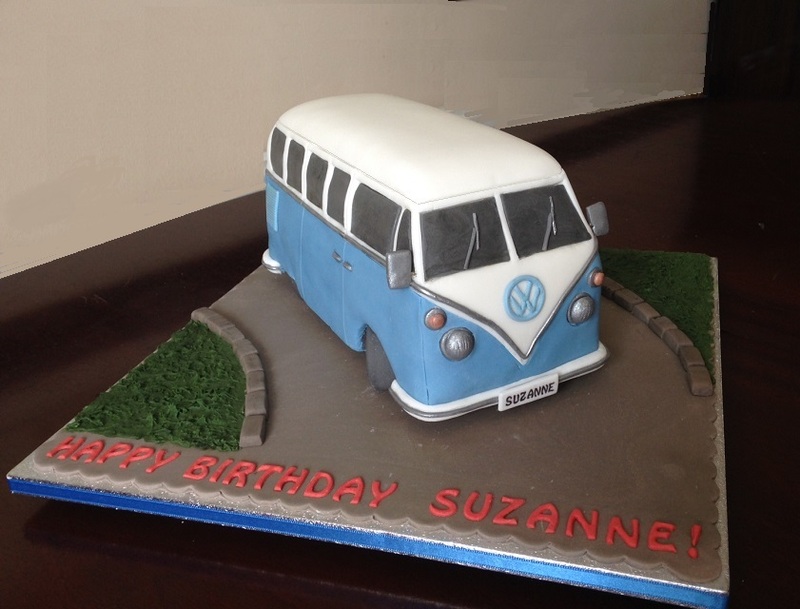 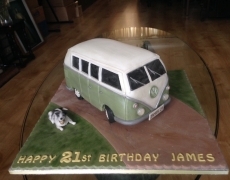 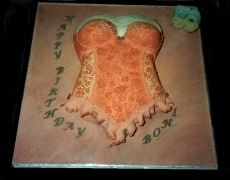 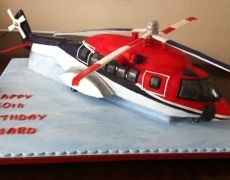 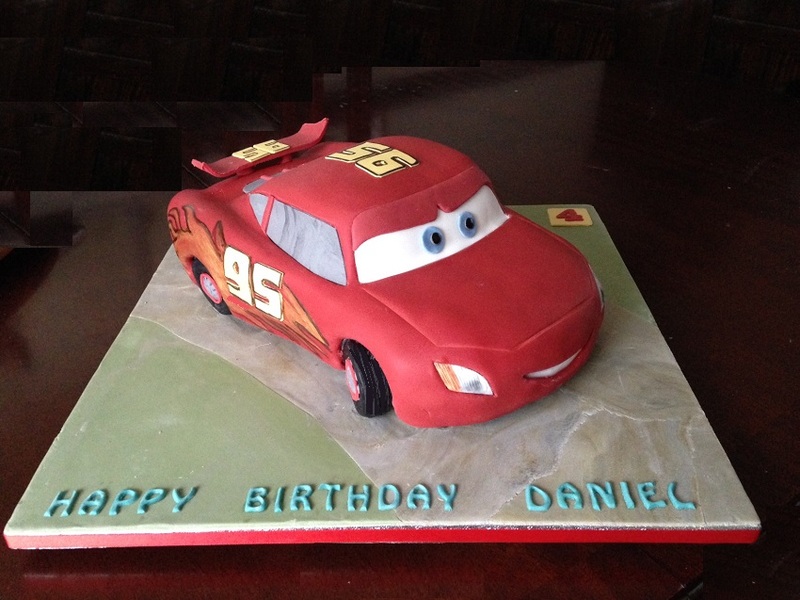 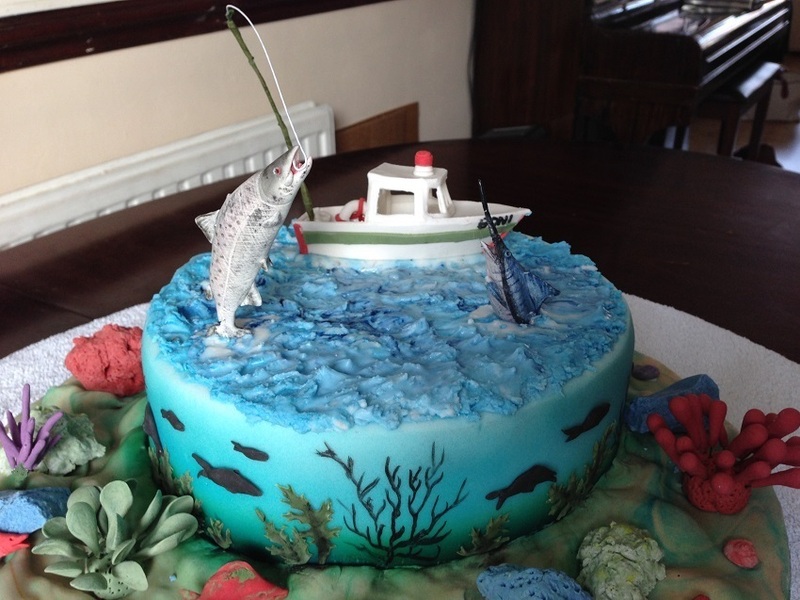 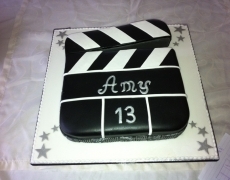 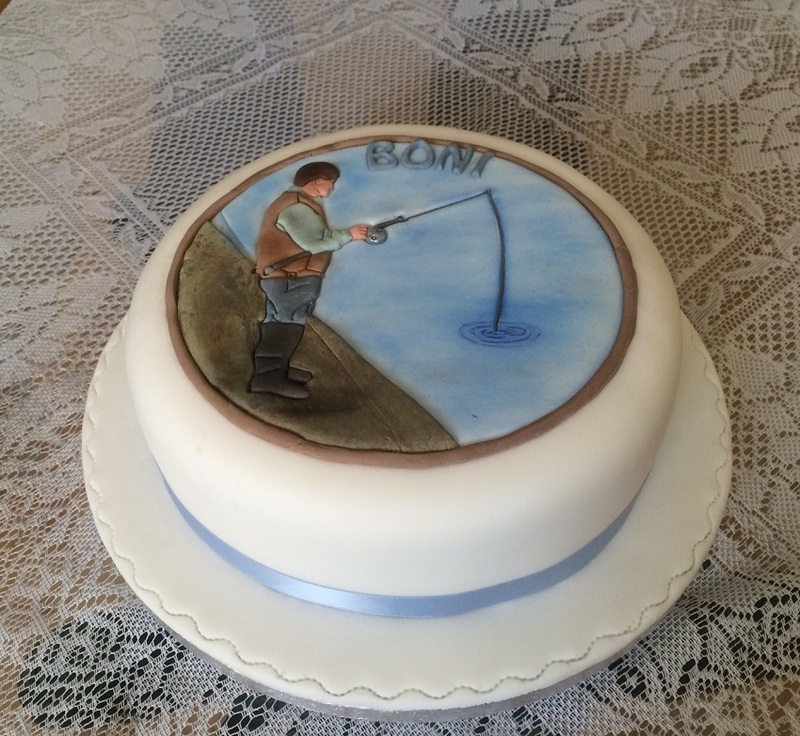 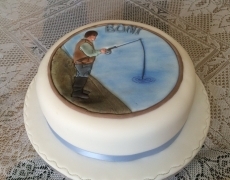 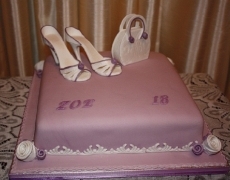 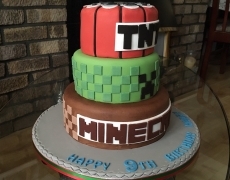 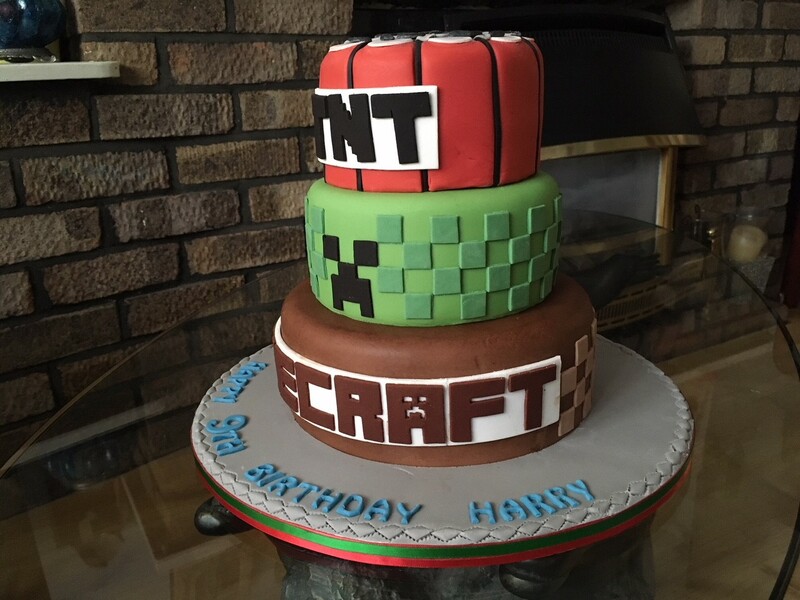 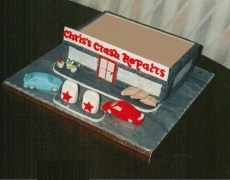 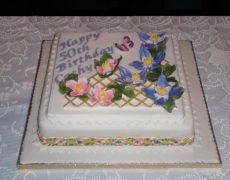 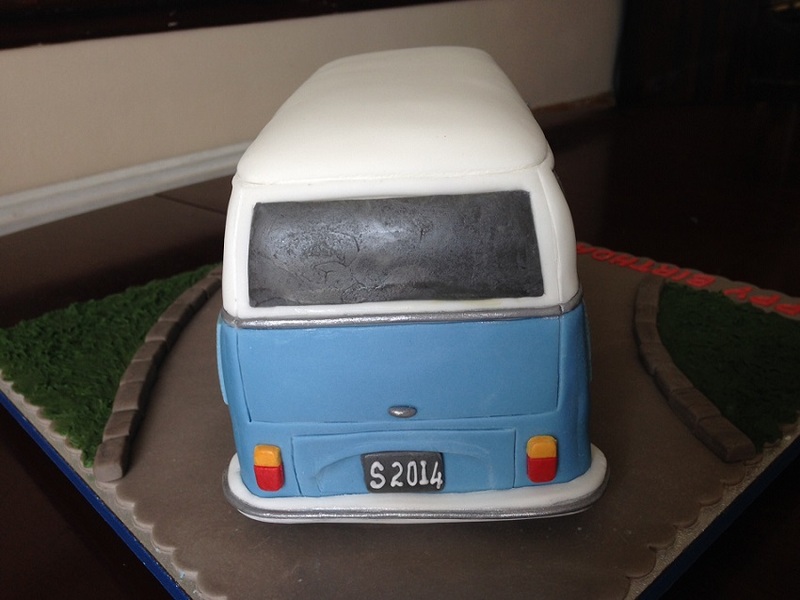 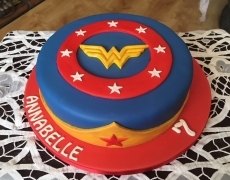 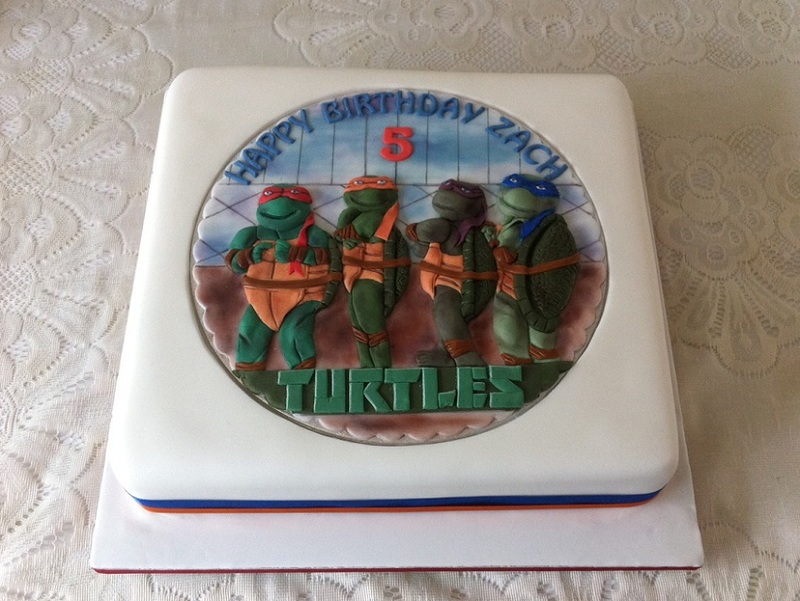 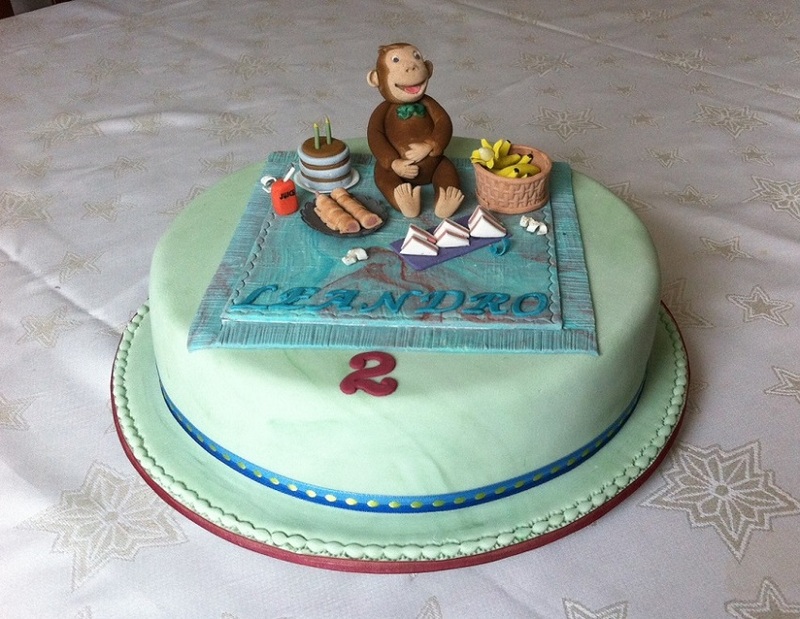 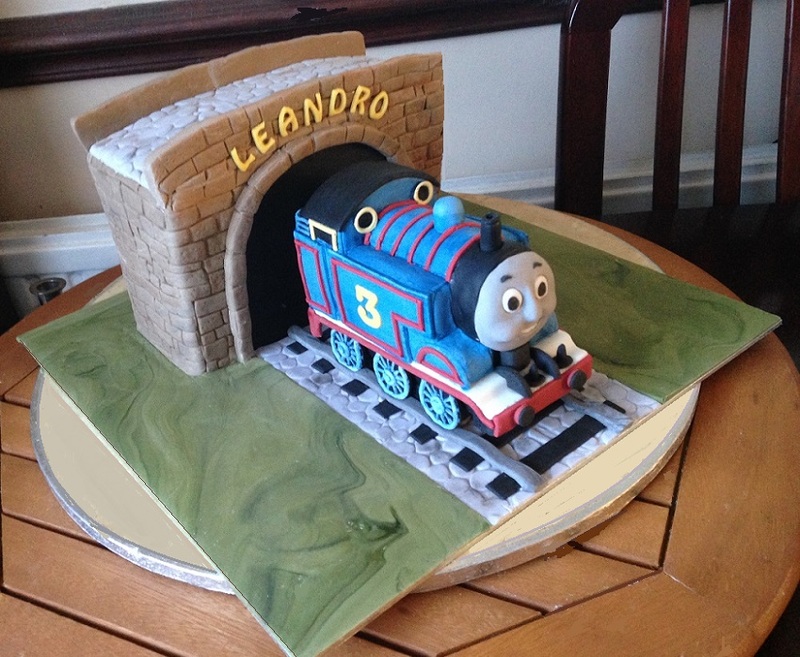 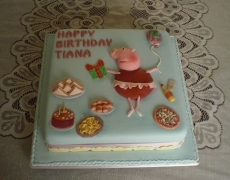 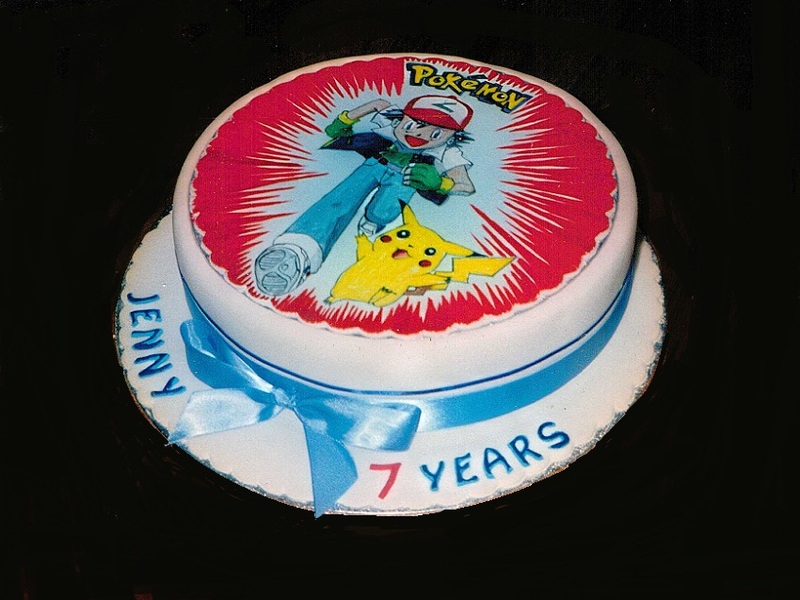 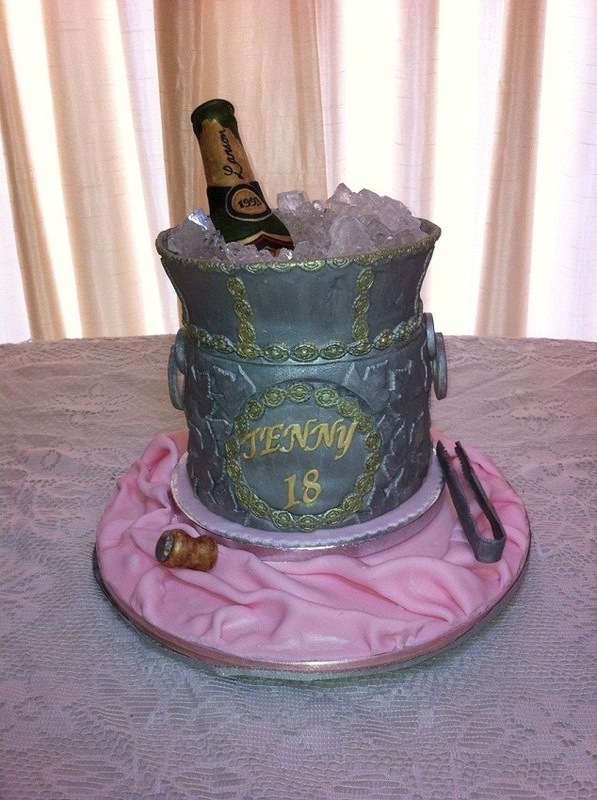 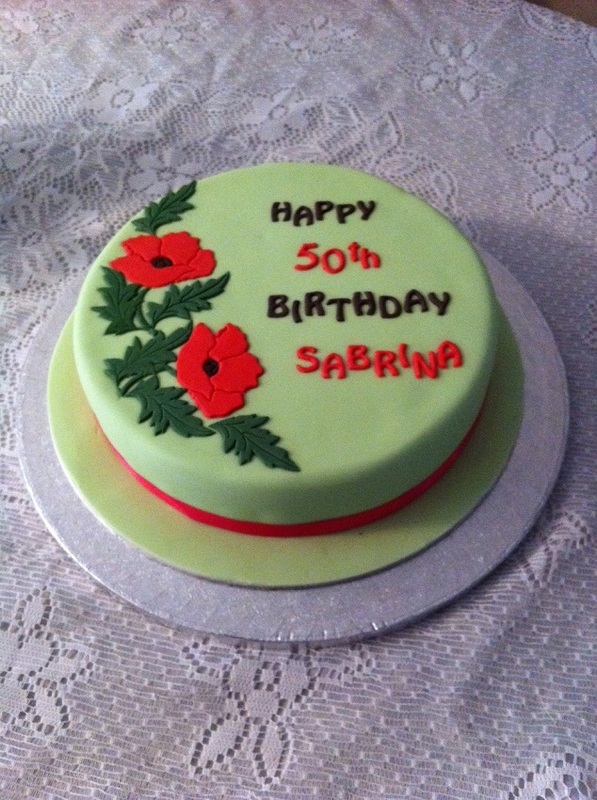 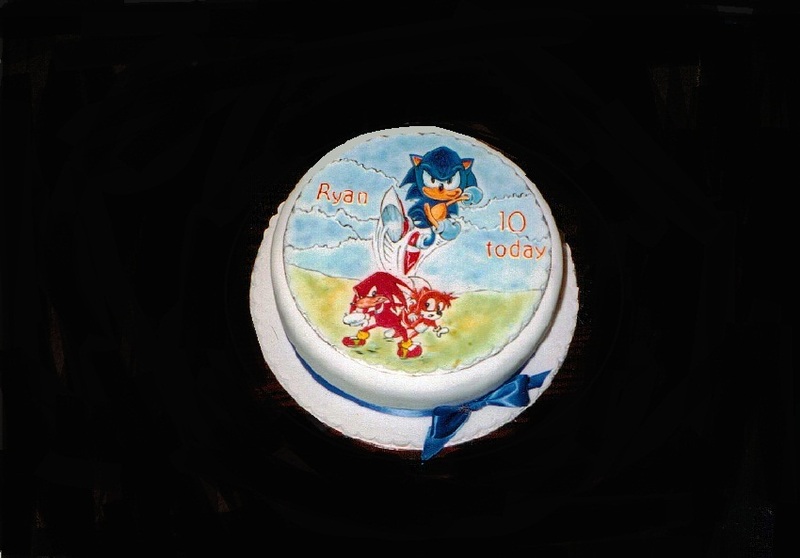 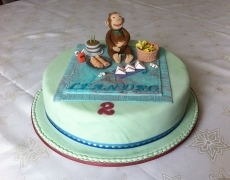 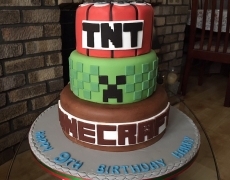 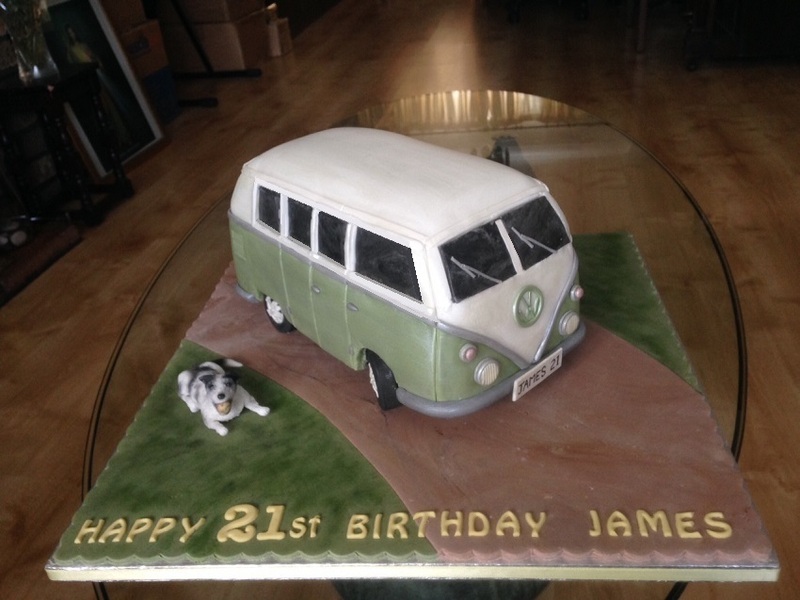 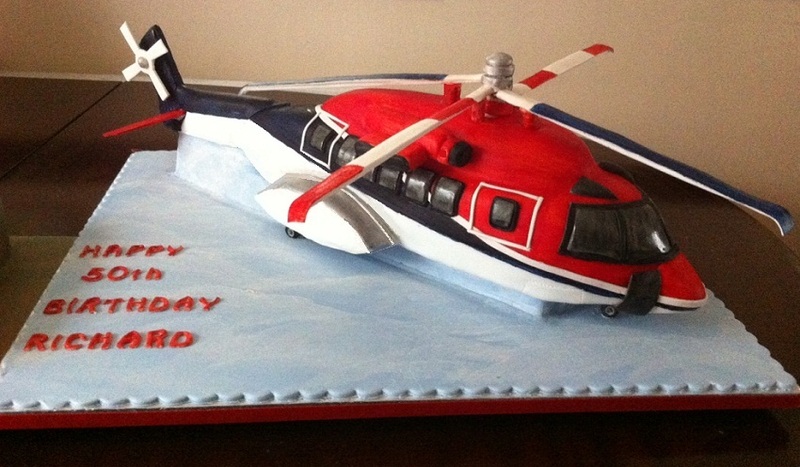 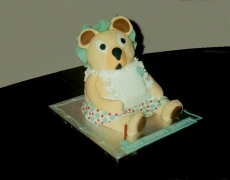 We’ve over 20 years of experience and have the skills to cater to any request made for a birthday cake. 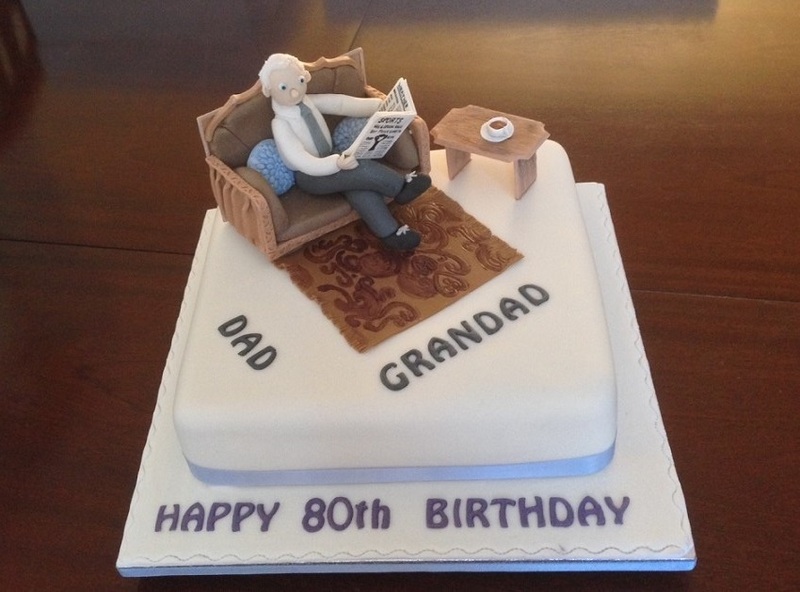 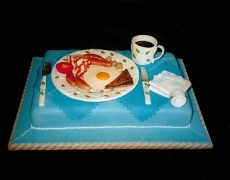 Take for example the Cake to the right of this text (yes, it is actually a cake). 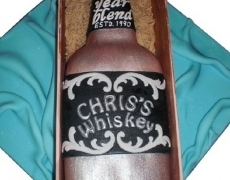 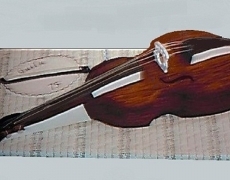 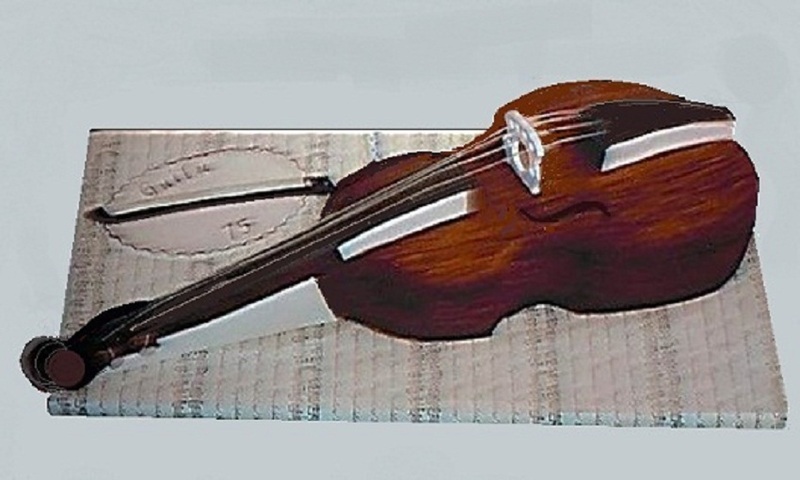 Hours of work went into crafting this at a client’s request. This shows the attention to detail we can achieve for our clients, and also the nice touch of putting the recipients name and age on there. 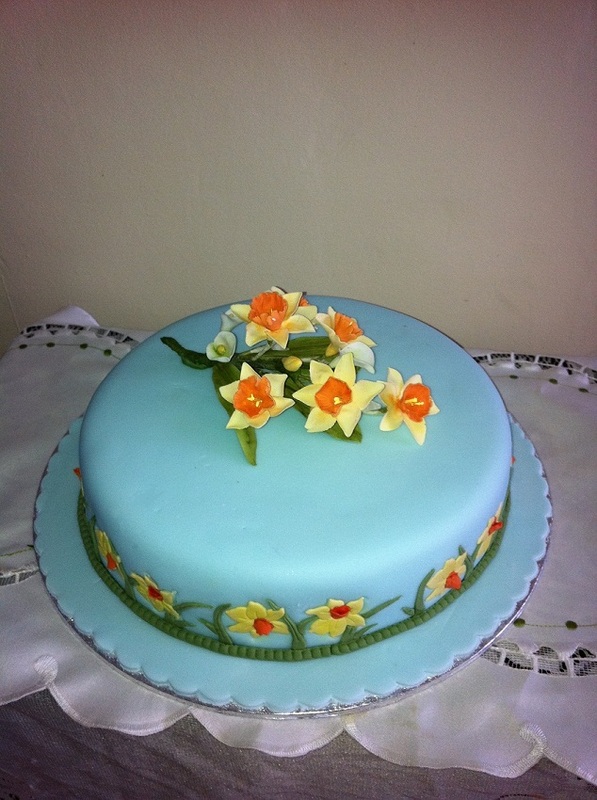 If you want a cake but unsure of whether it’s possible, wave away that idea and come to Flair4Cakes. 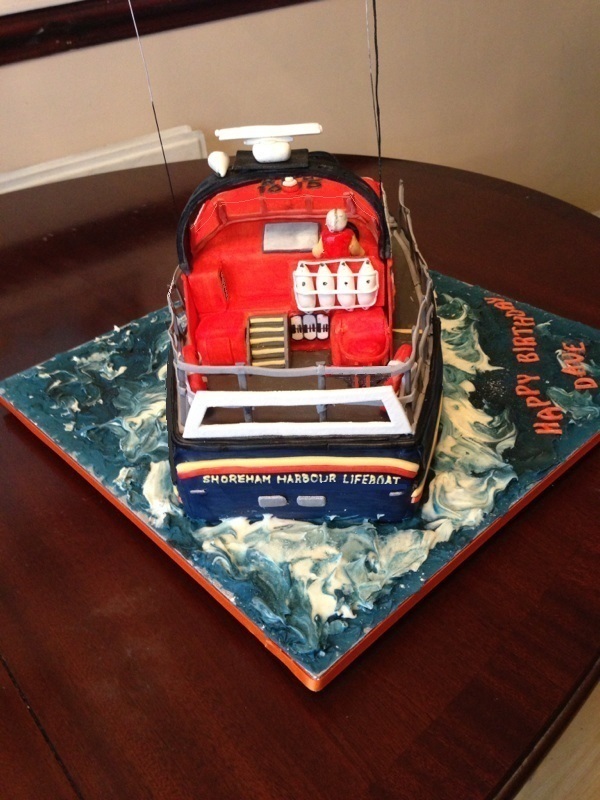 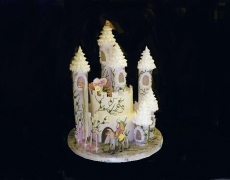 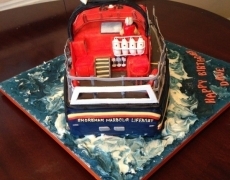 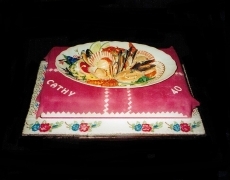 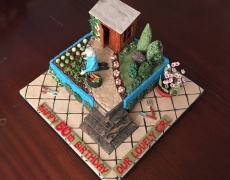 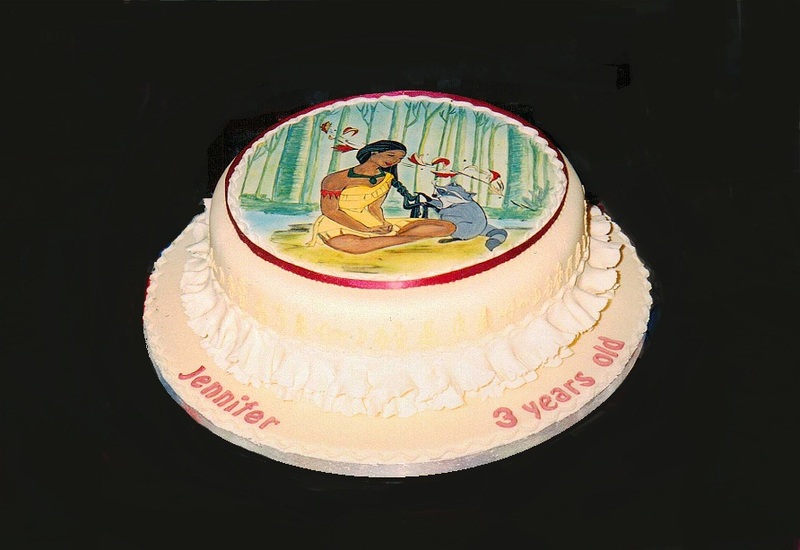 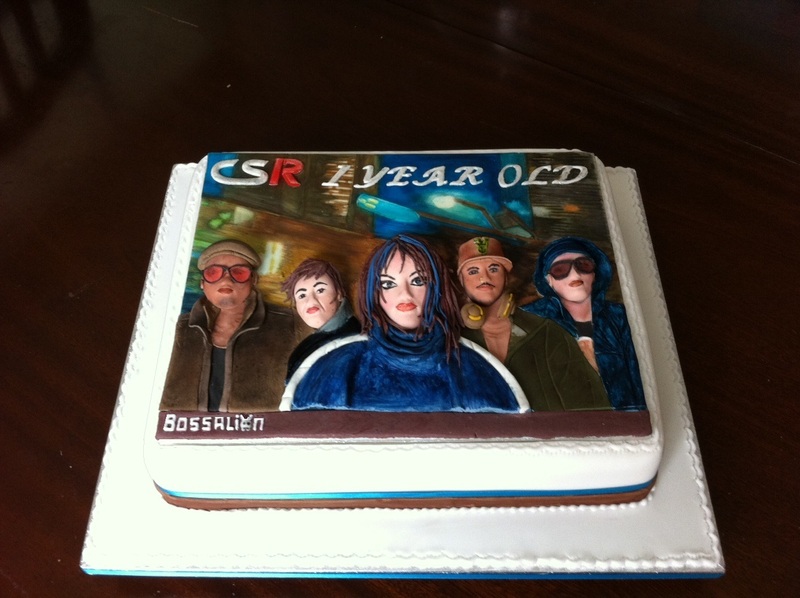 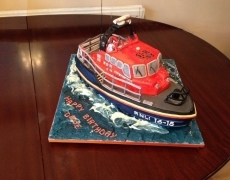 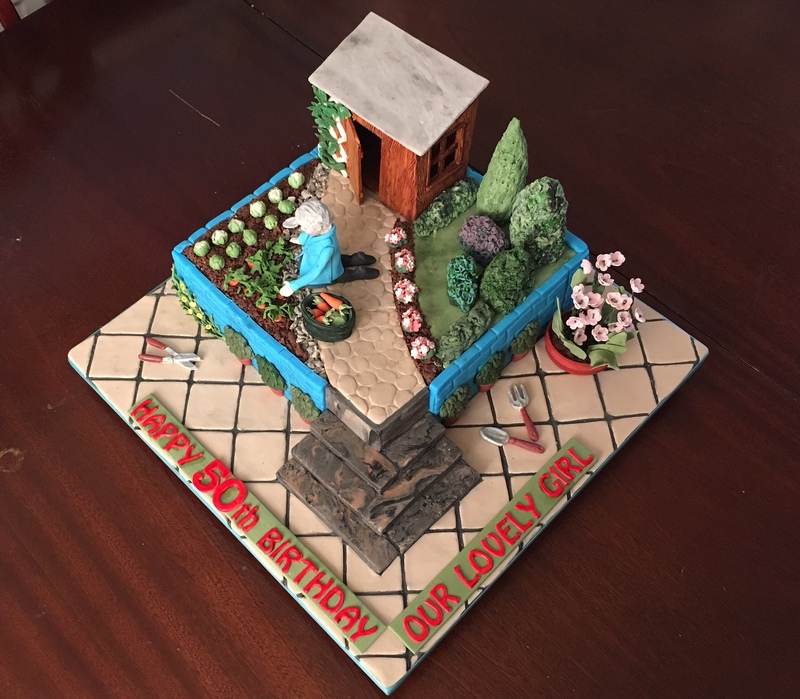 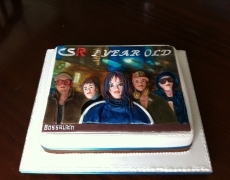 Our Birthday cakes are unrivalled due to the masses of experience that Chief Baker Sacramenta has gained from over 20 years in the baking industry.